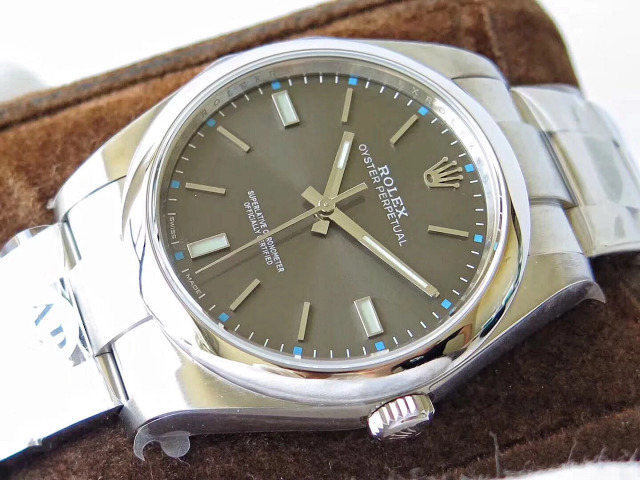 Oyster Perpetual 39mm is another entry-level series for men Rolex published, together with Air King, they are the most affordable Rolex watches. 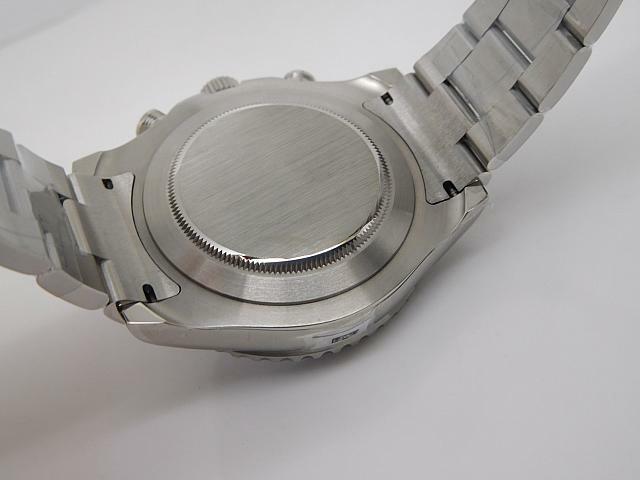 With basic hours, minutes and seconds functions, Oyster Perpetual can work very stably and accurately, it will also have a very low repairing rate, even none. 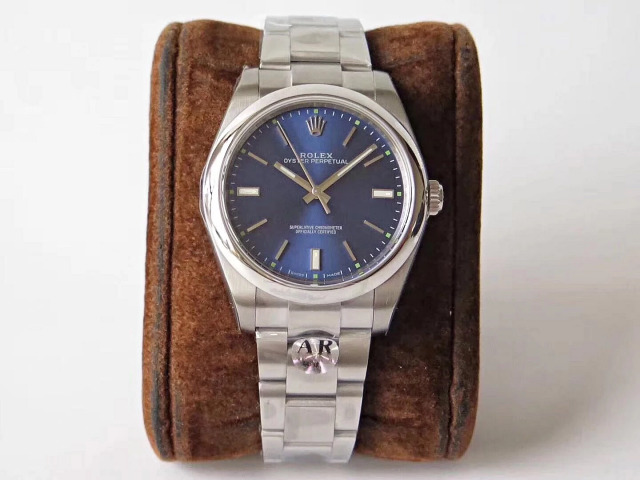 Today, I will show you five different Oyster Perpetual 39mm watches, their reference number is 114300, each features a different dial color, which includes white, blue, purple, grey and black. 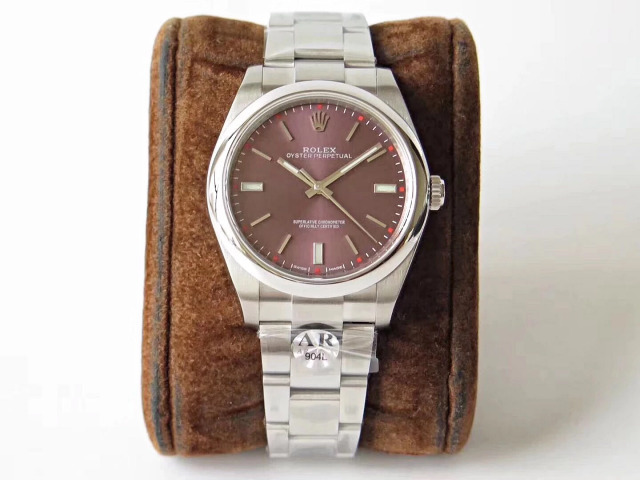 In our market, J12 started to make the replicas of Oyster Perpetual 114300 in 2016, the replicas are made of 316L stainless steel, at the end of 2017, J12 opened another sub-branch named AR, this new factory specilized in manufacturing super quality replica Rolex watches that are made of 904L stainless steel, so AR factory and Noob form a strong competitive relationship in replicating Rolex field. 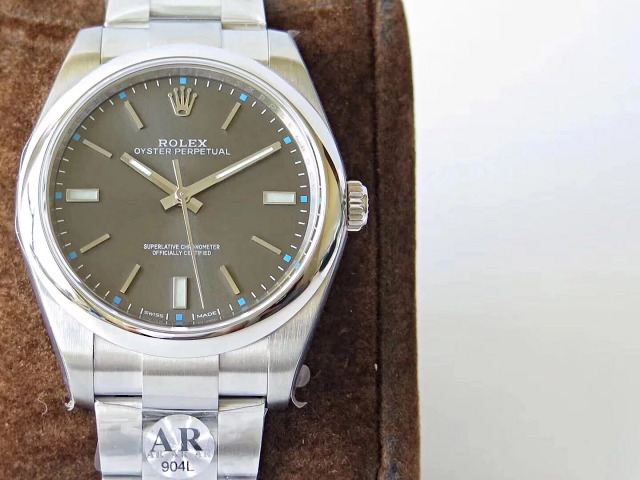 Just at the beginning of December, AR published five models of replica Rolex Oyster Perpetual 114300, please read the detailed review and appreciate their photos in the following. 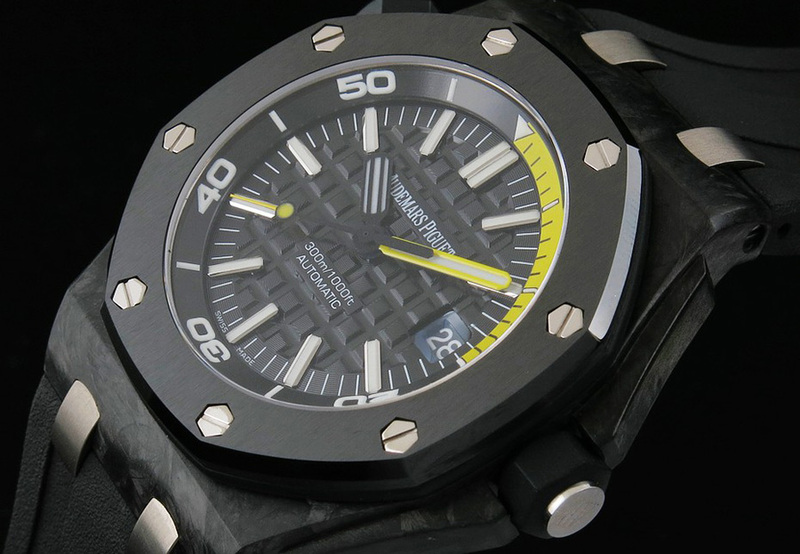 Among these five models, the most popular belongs to the grey watch. So, let’s take it for example. 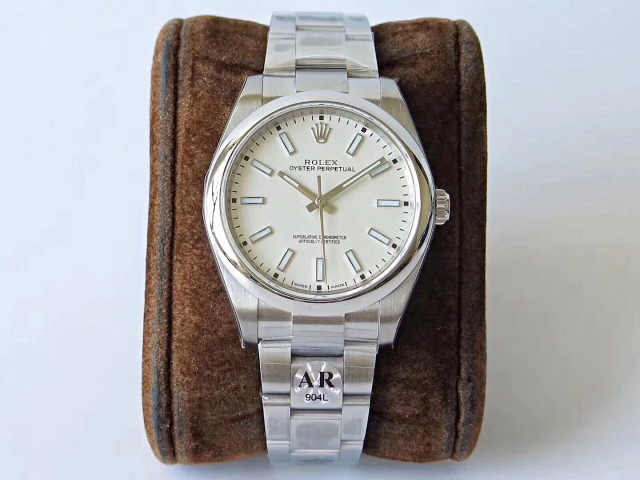 The replica watch is made 1:1 with a genuine Rolex 114300 as reference, the case is not only made of real 904L stainless steel, it also inherits the quality workmanship which J12 has been persisting for several years. The bezel is round and feels very smooth, the polishing on the bezel makes it look like a mirror. 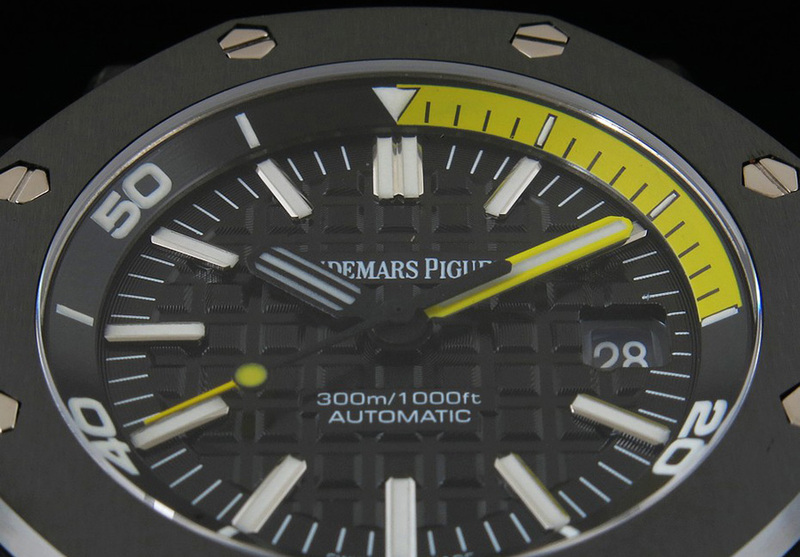 The dial is in grey color and has radioactive textures like sun-ray patterns. 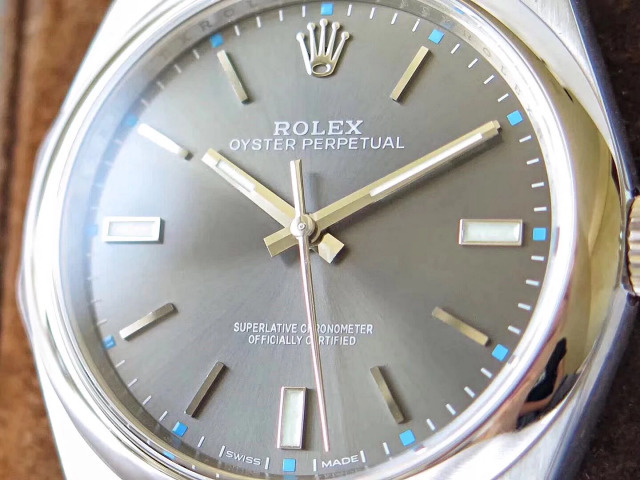 The dial has a very simple design, there are only hour markers and three hands, but I can find one distinctive feature that only belongs to this Oyster Perpetual 114300, that’s the blue square markers in every five minute. This symbol highlights the whole grey dial. Besides, the stick hour markers at 3, 6 and 9 are much wider than other hour markers, this is also the difference between it and Air King. 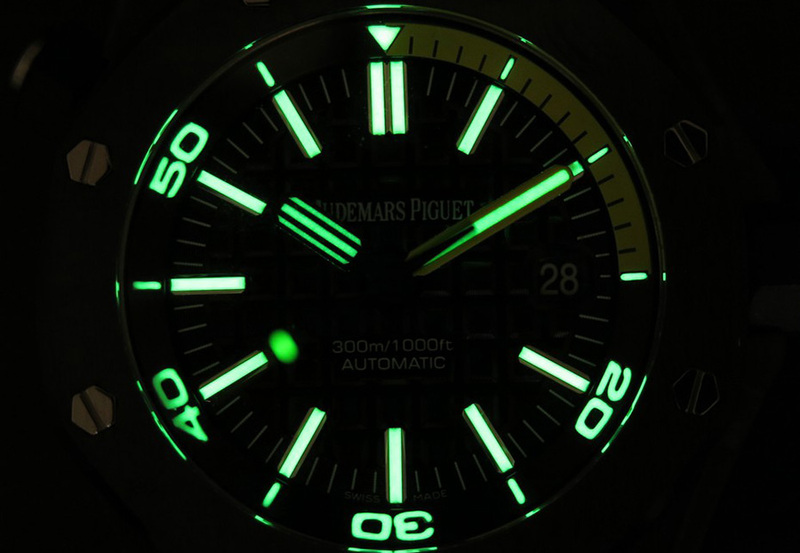 The 3, 6 and 9 hour markers are filled with lume material in the center. 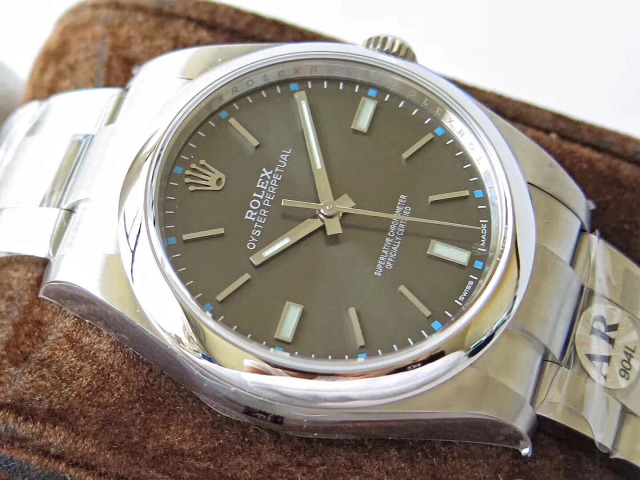 The Rolex Oyster Perpetual 114300 replica is equipped with a super clone 3132, which is modified from a Chinese automatic movement. 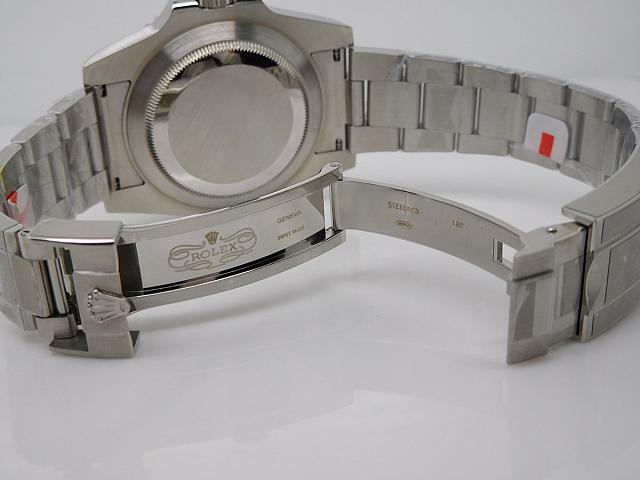 The movement plates and auto rotor are platinum plated and decorated to look of genuine Rolex Cal. 3132. 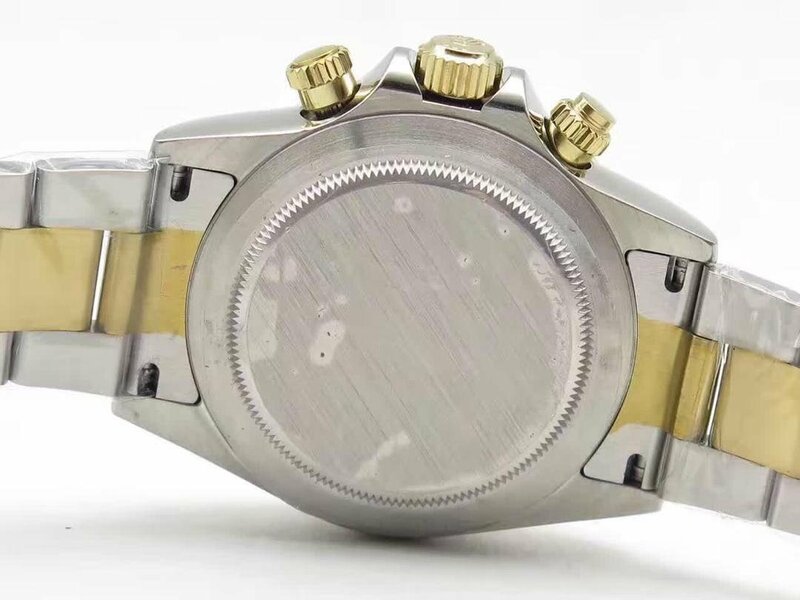 Actually the 3132 has already been installed in some Rolex models by J12 since 2016, so after two years of improvement, the accuracy and stability of this clone movement have reached a very high level. 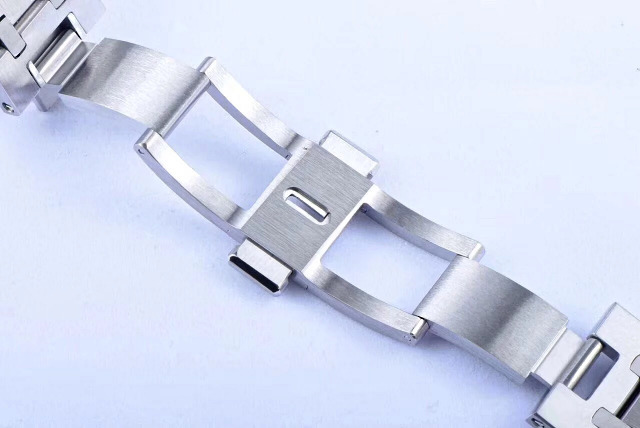 The Oyster-style bracelet is made of 904L stainless steel, it is fully brushed. 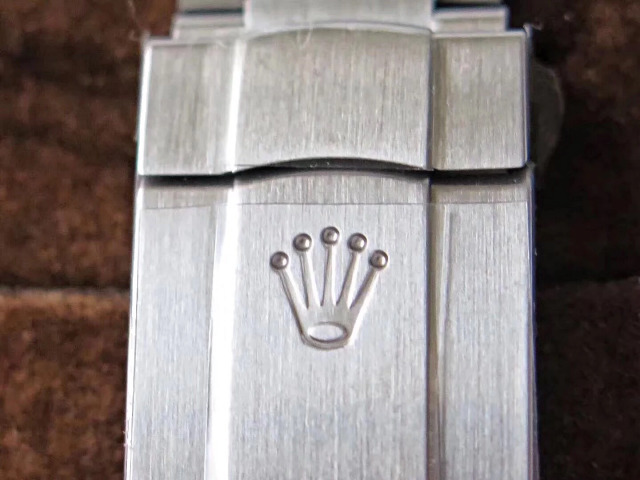 Oyster Perpetual 39mm 114300 has a Rolex Crown Logo that is deeply engraved on the buckle, the engravings on clasp is blackened. 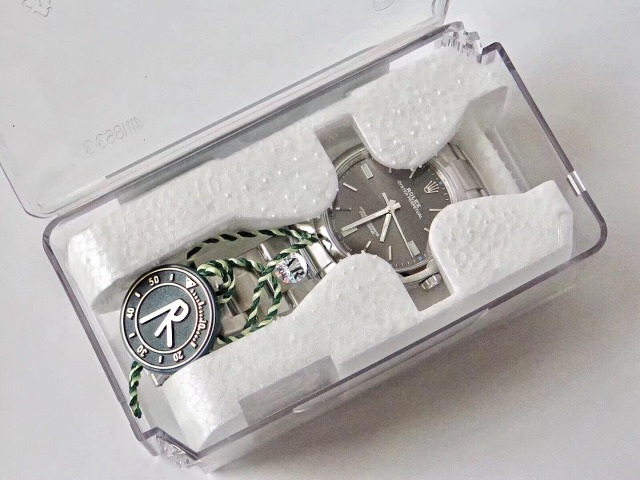 Overall, the replica has a perfectly made bracelet with the same construction as genuine Rolex 114300. 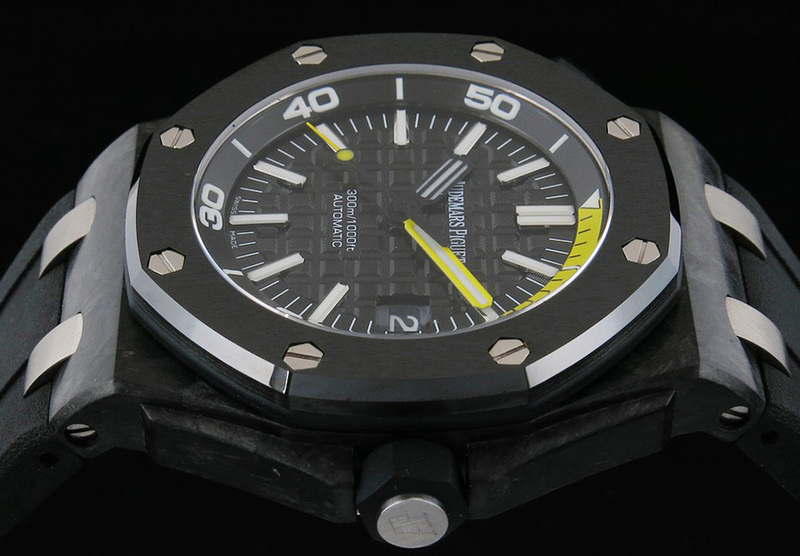 By the way, the replica is water resistant to 50 meters. 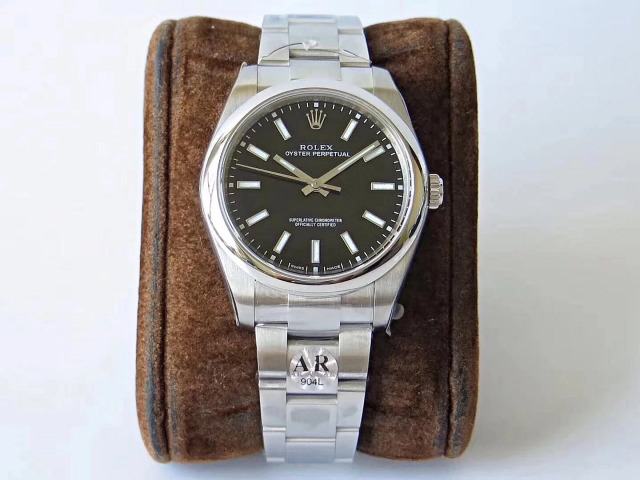 Maybe Oyster Perpetual 114300 is not your best choice when choosing your first Rolex watch, most people will consider to purchase a Submariner, however, every man should own more than one watch, so, as an entry-level model, Oyster Perpetual 114300 is a good choice to wear as a dress watch in any formal occasions. 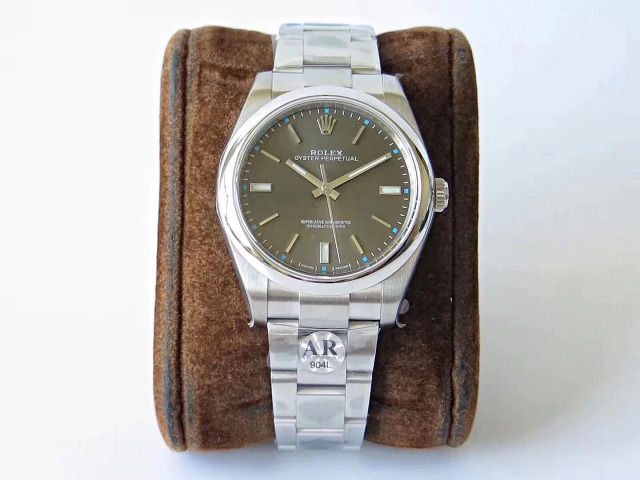 In the following, I posted photos of other four 114300 models, if you are interested in any one of these five Rolex, please contact me, the stocks last. 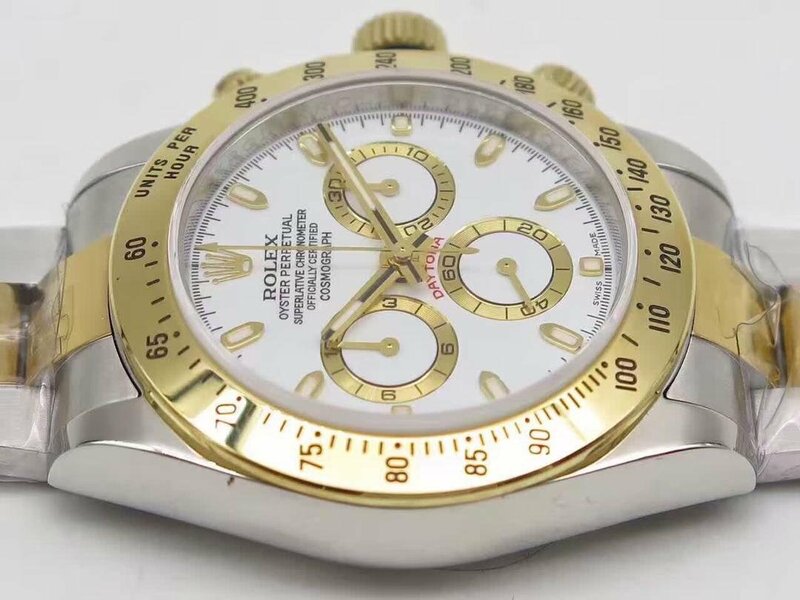 In recent days, AR factory published a lot of Rolex Daytona replica watches that are made of genuine 904L stainless steel, these Daytona replica watches are best of the best in our market, however, these Daytonas have one fatal flaw, that is the non-working minute and hour chronograph. 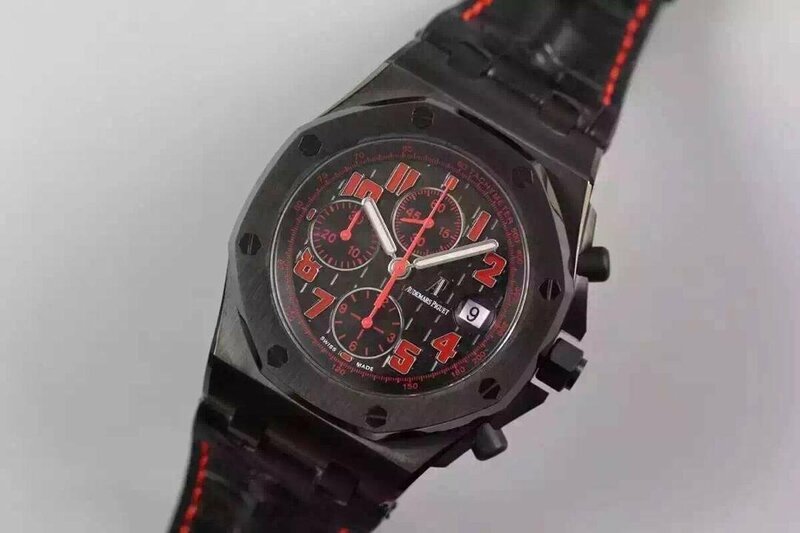 So, although ARF Daytona replica watches are made of the best material, they are still not perfect for watch fans who require full functional chronograph. Today, the Daytona replica watch that is going to be discussed in this article is an old model published last year, by J12 factory. 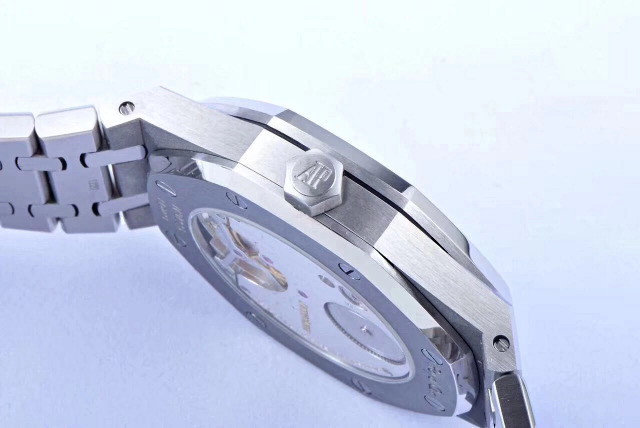 Although the watch is made with 316L stainless steel and equipped with an Asian Valjoux 7750 movement, it works accurate, you know, high stability is very important for a chronograph watch. 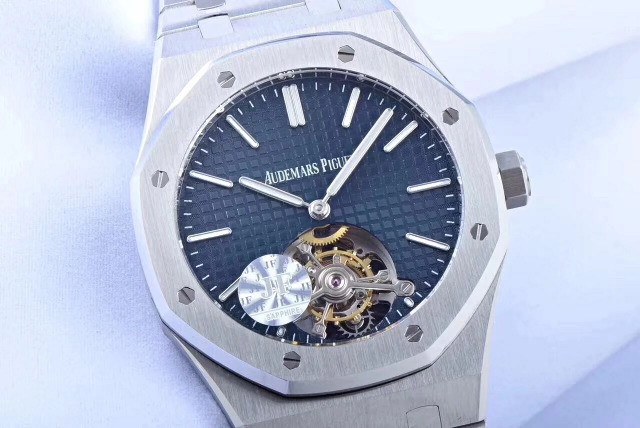 Nowadays, replica watches from big factories like Noob, J12, BP and ZF could be made 99% the same as genuines in outlook, only the movement is the biggest flaw, so to make the fake movement look closer to genuine caliber, these factories are spending a lot of time and effort in modifying the basic movement to make it look real, everyone knows too much modification on movement will affect its stability, so, in my opinion, these new Super Copy 3135 used on Submariner and clone 4130 on latest ARF Daytona are not as good as you think. 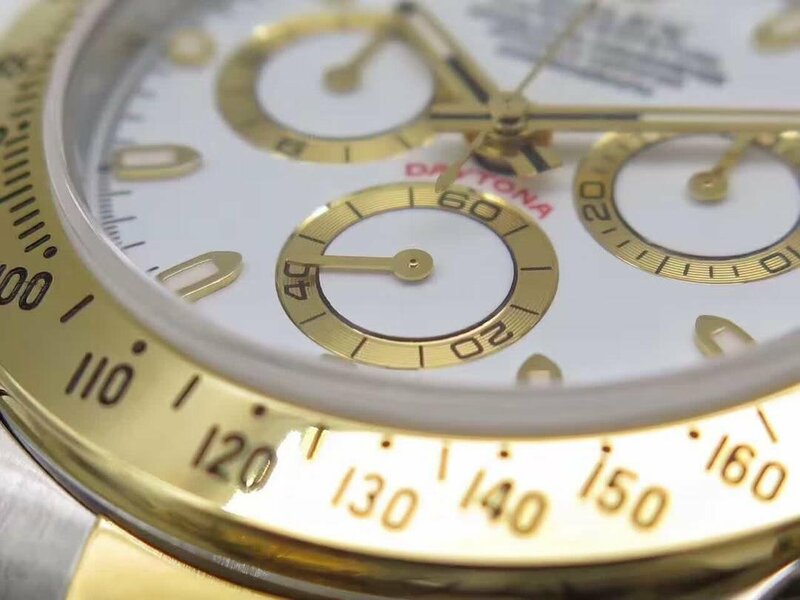 However, this yellow gold Daytona uses the old Asian Valjoux 7750 movement, whose accuracy and stability have been tested for years by a lot of chronograph replica watches, so, this Daytona I am about to post is very rare and really good, you will never regret after purchase. 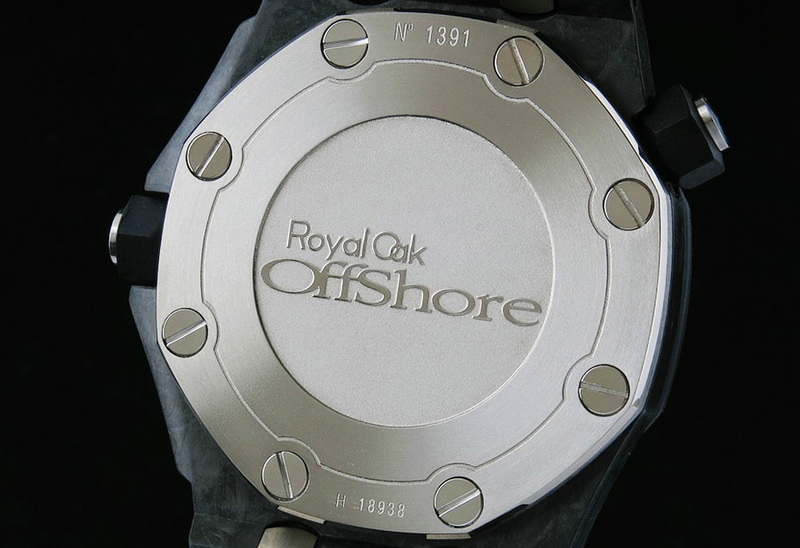 Made by J12 factory, the case polishing work looks much superior to Daytonas of other factories. 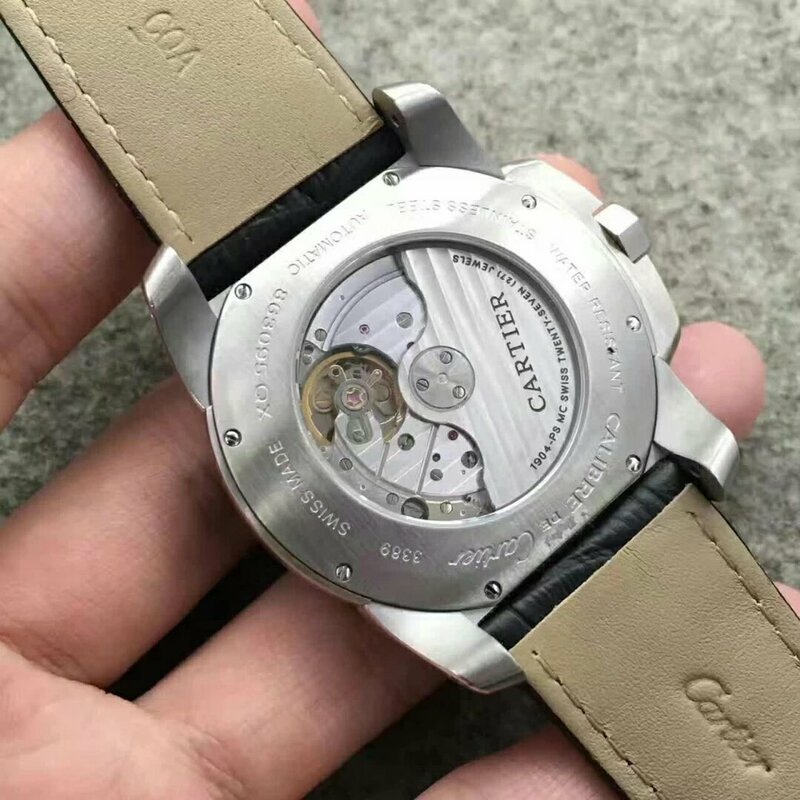 Case is 40mm in diameter and 15mm thick, case corners and edge are smoothly polished, so you will get a comfortable wearing feeling from this replica watch. 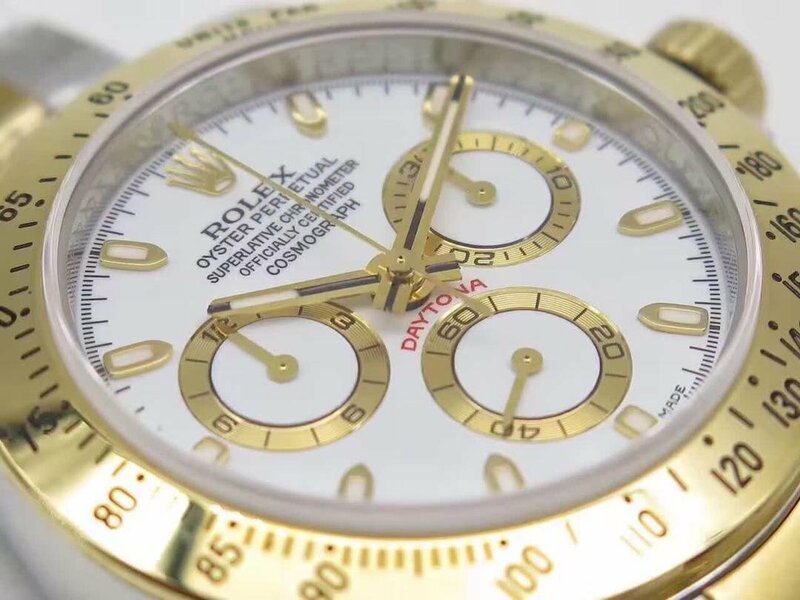 Bezel is in yellow gold tone and fixed, three buttons on the right are also in yellow gold and have the same construction as genuine Rolex Daytona. 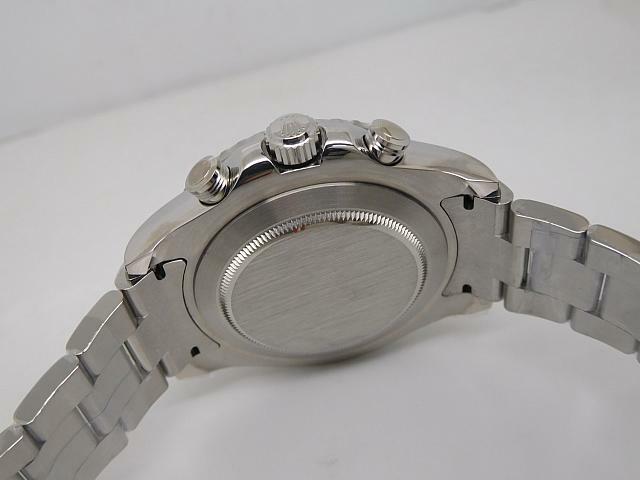 When not in use, the two chronograph buttons could be locked tightly by screws to make sure the watch is water resistant. If you want to start the chronograph, just loose the screw on button at 2:00 and then push it. 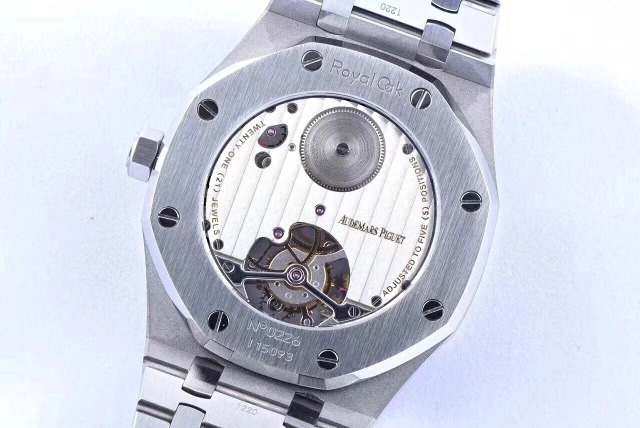 White dial has three working subdials, the small dial at 6 o’clock is for small seconds display, the subdial at 3 o’clock is 30-minute chronograph counter and subdial at 9 o’clock is 12-hour chronograph counter. 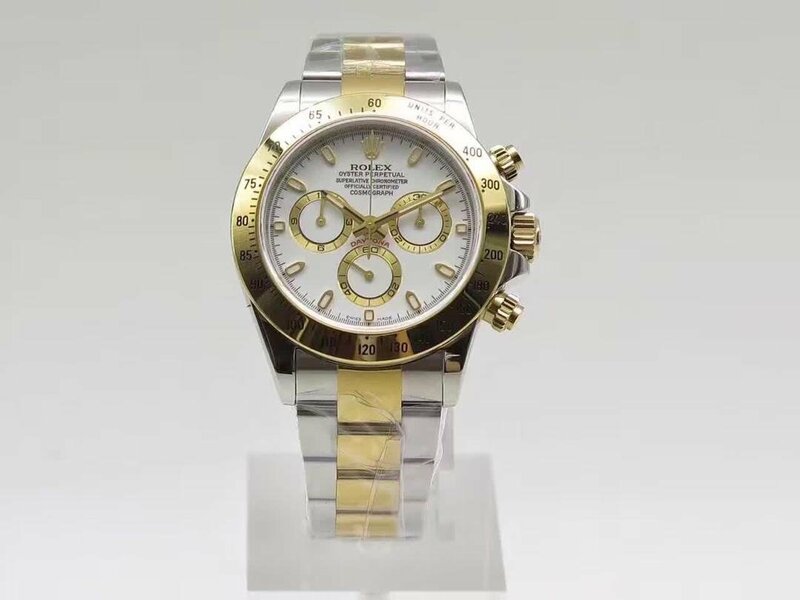 Fortunately, all could work like genuine Rolex Daytona. 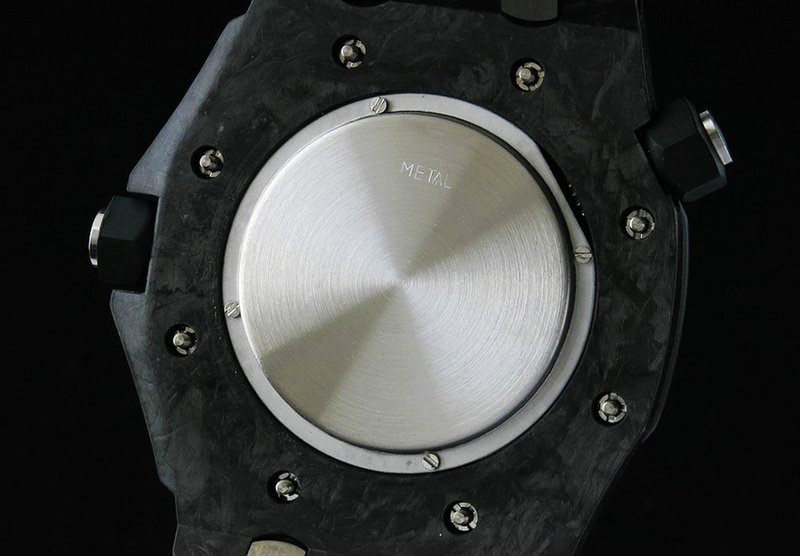 Secs@6 Valjoux 7750 chronograph movement is very reliable. 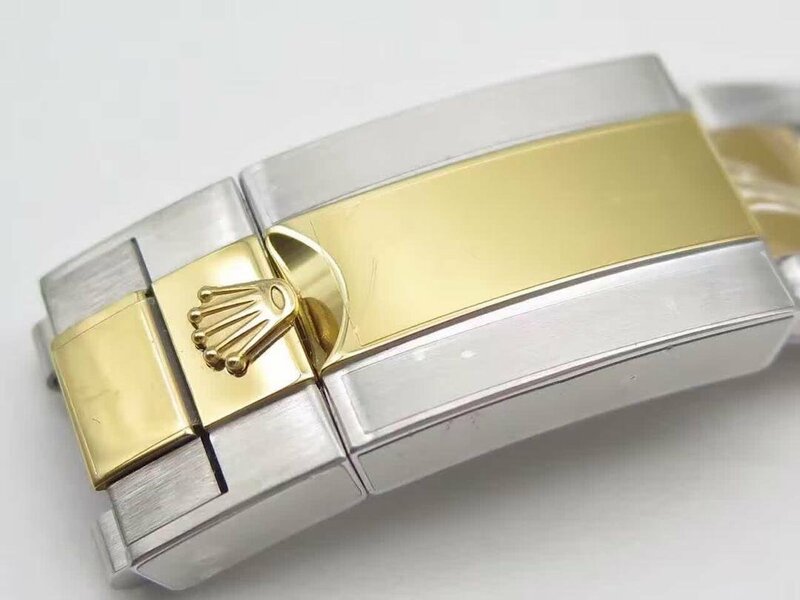 The bracelet is made of 316L stainless steel and has a thick yellow gold coating on the central links, the yellow gold tone never fade. The last reason why you choose this replica Daytona other than the ones from AR factory is it is sold at a much cheaper price. 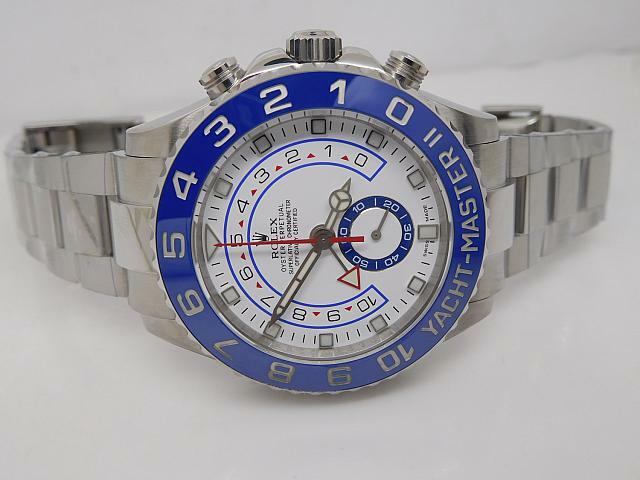 This blue YachtMaster watch is my most favorite Rolex watch. I love its color and I usually wear this watch to go for a beach party in the summer. 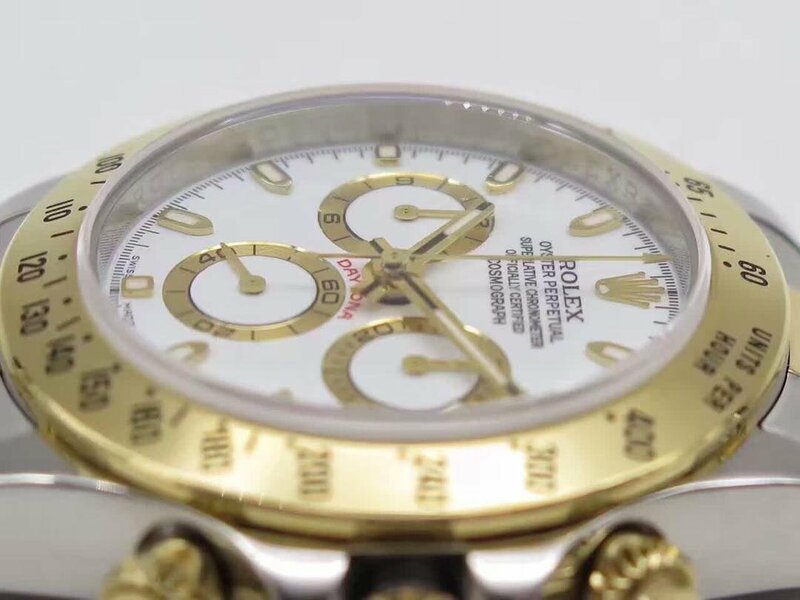 116680 has been a old YachtMaster model Rolex published several years ago, but there are still a lot of Rolex fans pursuing this watch that was specially designed for yachting sports. 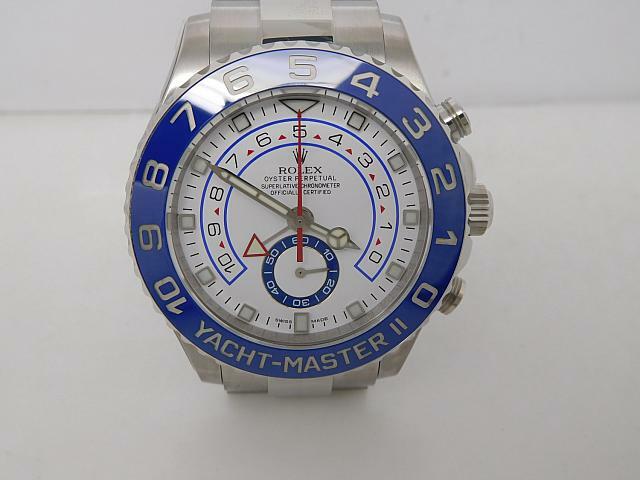 In replica watch world, YachtMaster 116680 is liked and manufactured by a lot of factories, but none of them can produce a good quality 1:1 replica, until the appearance of this one, which was just published by J12 factory several days ago. Actually J12 produced this 116680 replica several years ago, the first version was not good and we called it V1. 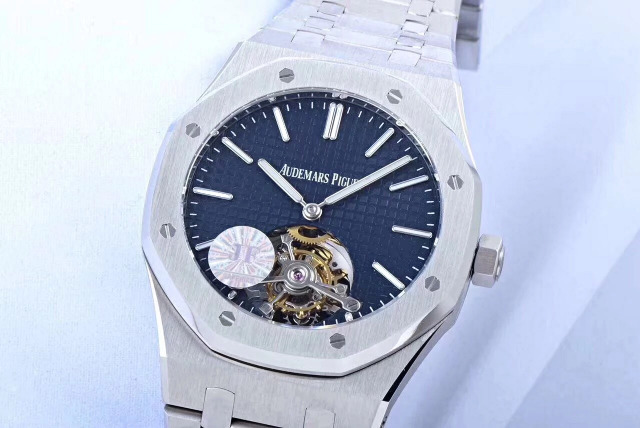 Now this one was an updated version, every detail was improved again, now in the following I will introduce how amazing this watch is. This replica watch can absolutely become the most beautiful blue on your wrist in this hot summer. First, about case finishing. In our market, no other factories can do better case polishing than J12. 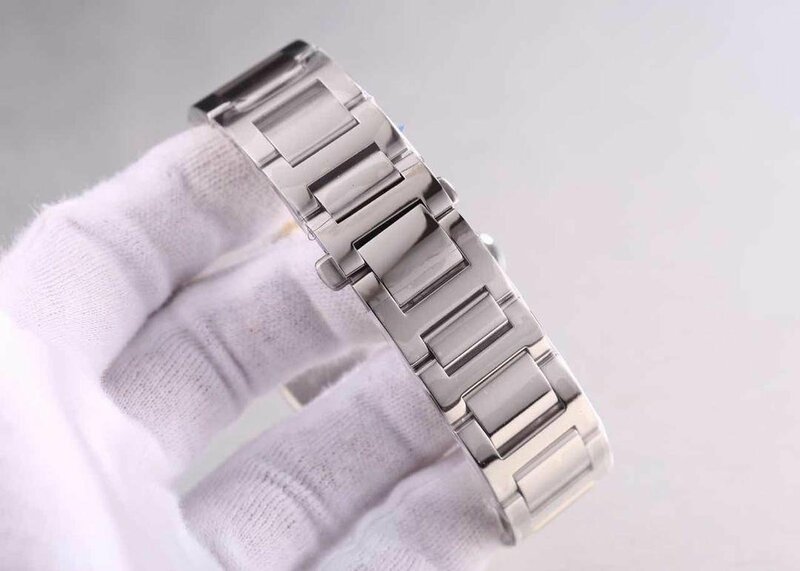 The case os 116680 is polished well, it is brushed except the case side and the middle bracelet links. You can fully feel the superior brush texture, it is refine. The craft of crown and pusher is also much better than previous models. 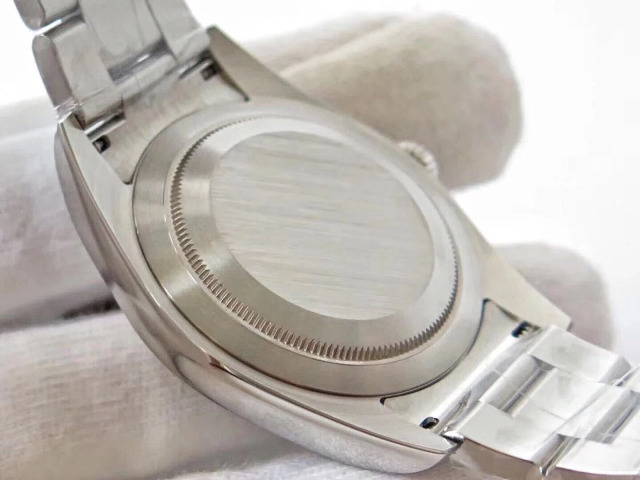 Especially the two chronograph pushers, you can see the factory uses more than one polishing craft, polishing and brushing are done interchangeably, so gives the wearer a good visual effect. 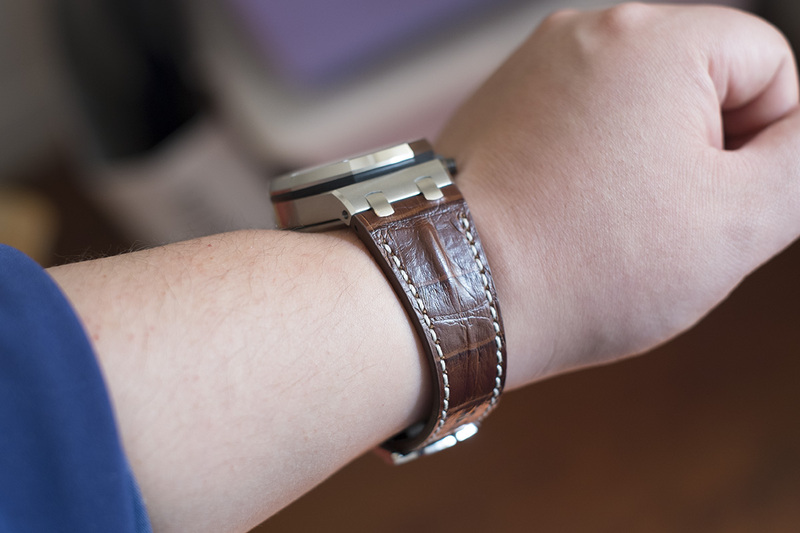 The proportion of case arc is closer to genuine 116680 case than V1, so the watch can perfectly fit your wrist. And the bezel fits the case in no gap, good water resistance is guaranteed. Dial and bezel are two favorite parts I like most on this replica Rolex. 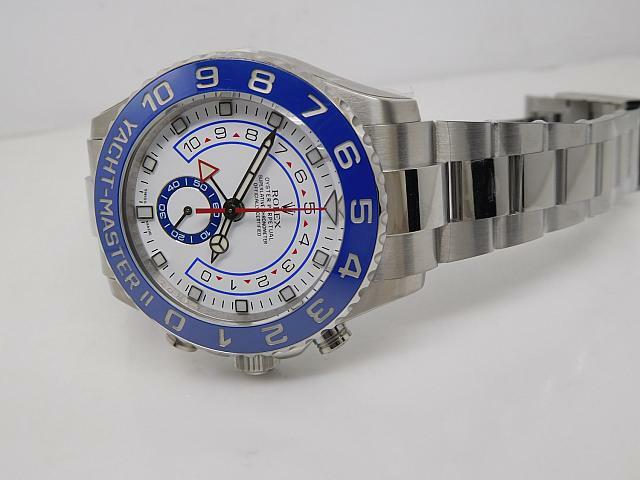 The dial is in white background, but it uses extra three different colors, including silver, blue and red. 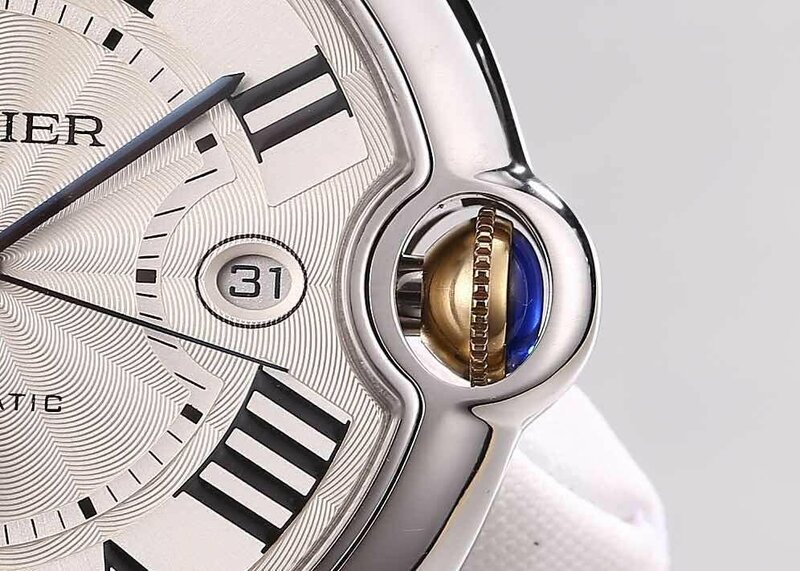 Especially the middle blue countdown circle, it is echoing with the blue ceramic bezel. 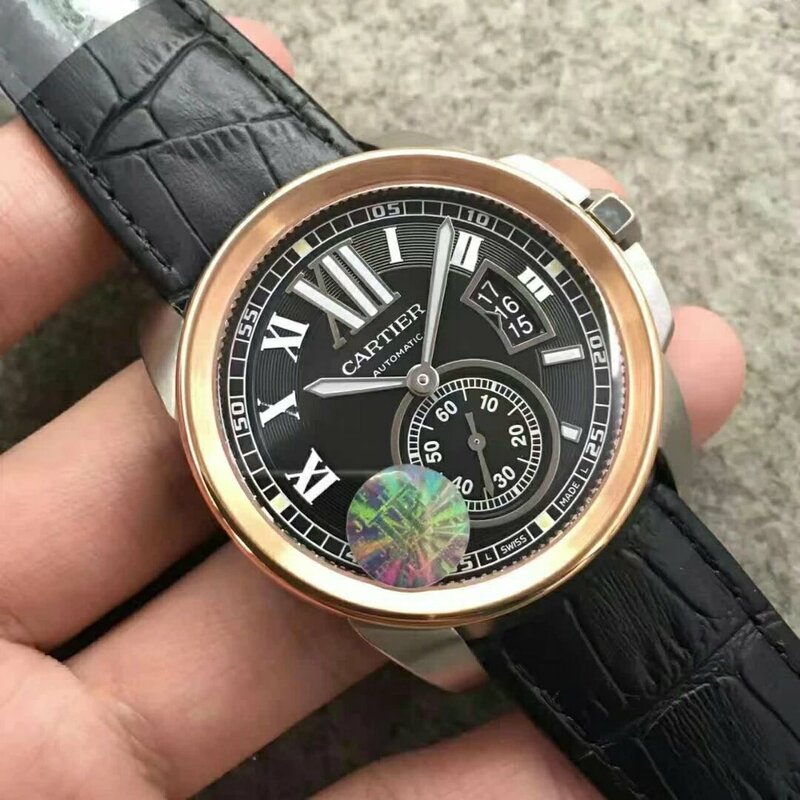 Well, I must say those bezel engravings are really stunning, the depth is very enough, the color of those engraving is exactly echoing with the silver luminous coating of hour markers. 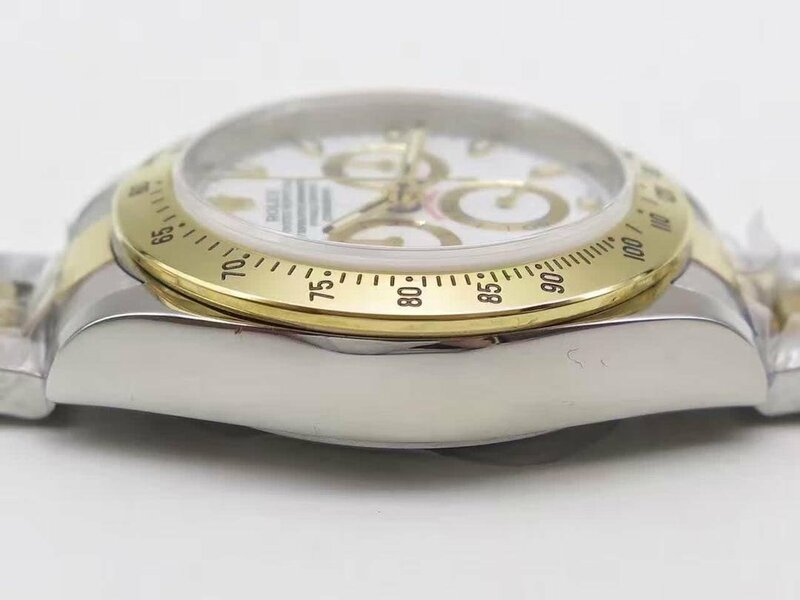 Silver small second hand is running on the subdial at 6 o’clock, on this replica, the countdown feature is still fault because no factories today in our market can produce a YachtMaste replica with genuine countdown feature. 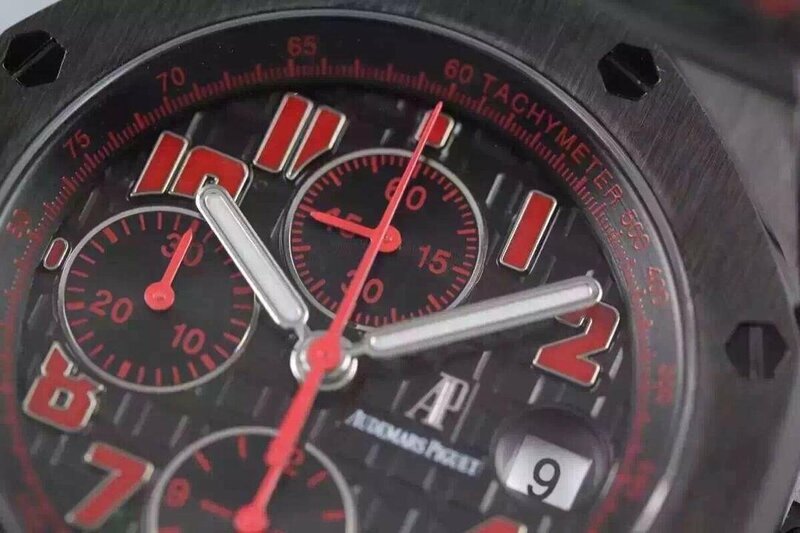 When you press the button at 2, the central big second hand will start chronograph, when press it again, the chronograph will stop, when the pusher at 4 is pressed down, the red second hand will back to zero. 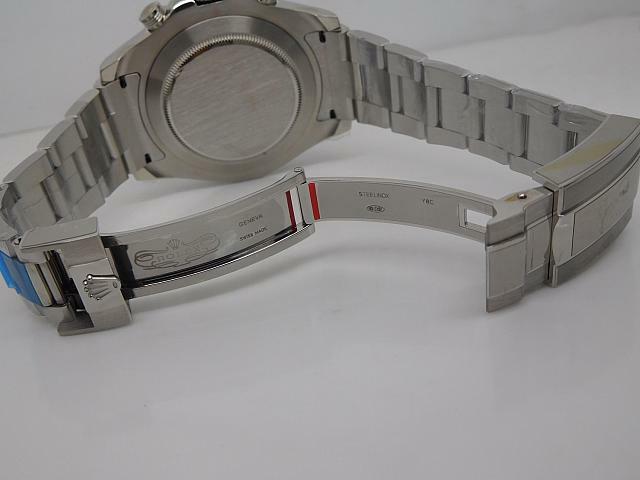 Yes, I mean this replica 116680 watch has an accurate chronograph function like genuine. Here in the last, I list its specification, anyone interested can contact me directly. Movement: Valjoux 7750 Chronograph, 28800bph. Ballon Bleu is always a great hot in replica watch field, in recent days, V6 factory published their V2 Ballon Bleu and pushed it to the top. 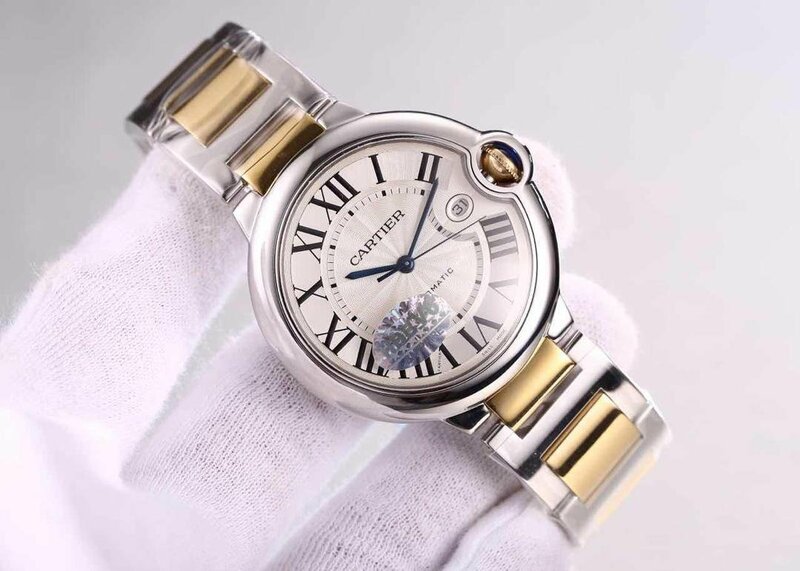 Actually there are two factories V6 and J12 manufacturing good quality Cartier Ballon Bleu replica, but the quality of replica made by V6 is much better, it brings the replica to another top level. 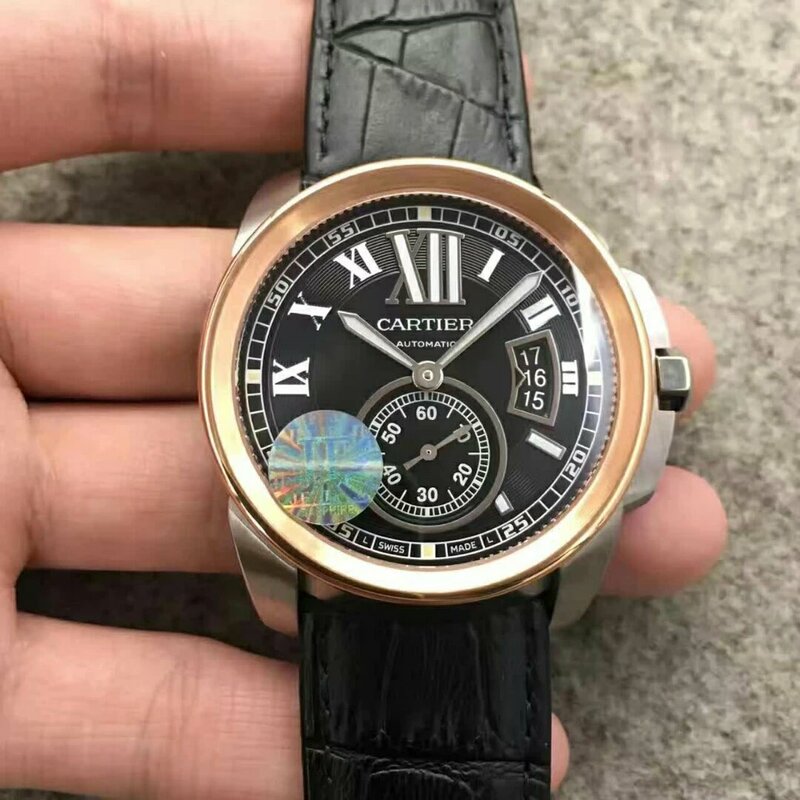 Today, I will introduce a large-size Cartier Ballon Bleu here, it is a great watch for men, its bracelet is in two tone style, which is just like that Cartier Ballon Bleu I published in another post at http://www.wristwatchspot.com/2016/06/03/a-perfect-gift-for-your-wife-28mm-cartier-ballon-bleu-w69007z3-replica/. The one here is the ultimate version from V6 factory, it could be equipped with three types of movement, Miyota 9015, Sea-Gull 2824 or ETA 2892. Three of them are all good, but the replica with genuine ETA 2892 is the best, absolutely the price is much higher. If you have a low budget, you can choose a Sea-Gull 2824 version, which also has a good stability and accuracy. 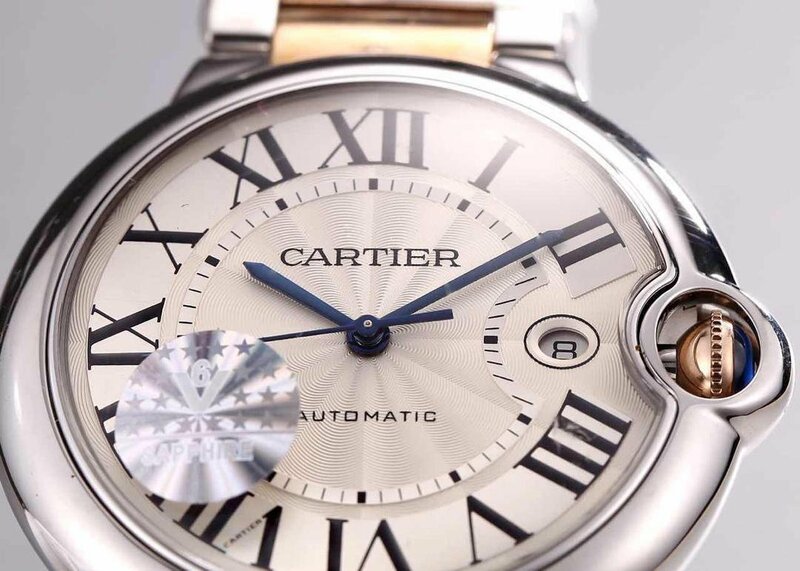 The Cartier Ballon Bleu replica here has achieved 1:1 replicating level on dial and bracelet. 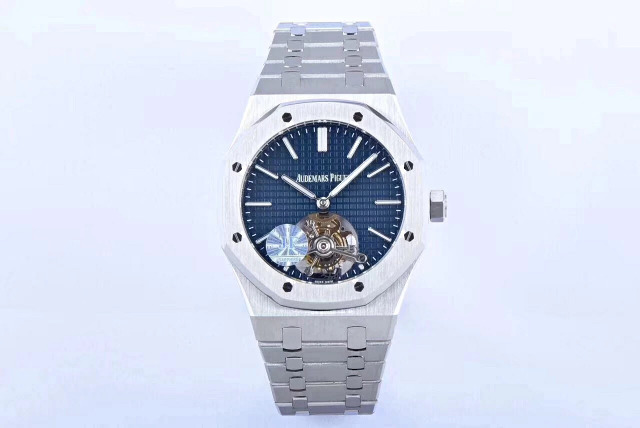 The dial is in silver texture like genuine, with sunray patterns, please take a note of its hands, which is one of the place to distinguish it from other low-end replicas, is baked, it is blue with a little black. On those cheap Ballon Bleu replicas, the color of hands is in too bright blue color. When you see the hands at different angle, the color will change. The crown, I mean its spinel, is in deep and transparent dark blue when under the sun light. 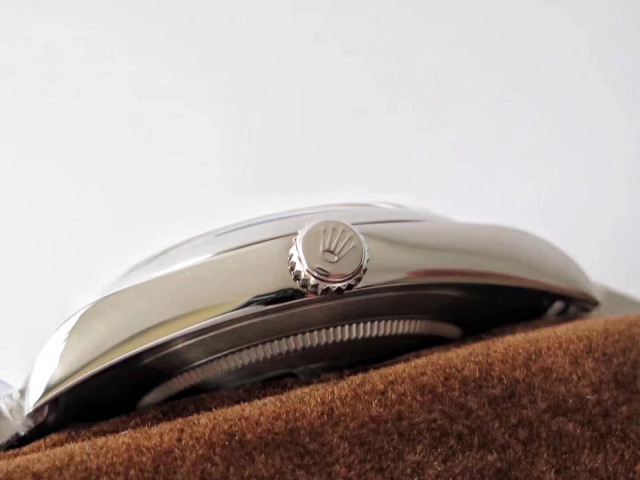 The dial really costs a lot effort of watch master to complete, besides those silver sunray patterns, the oval-shaped date window also has obviously layered structure like genuine. 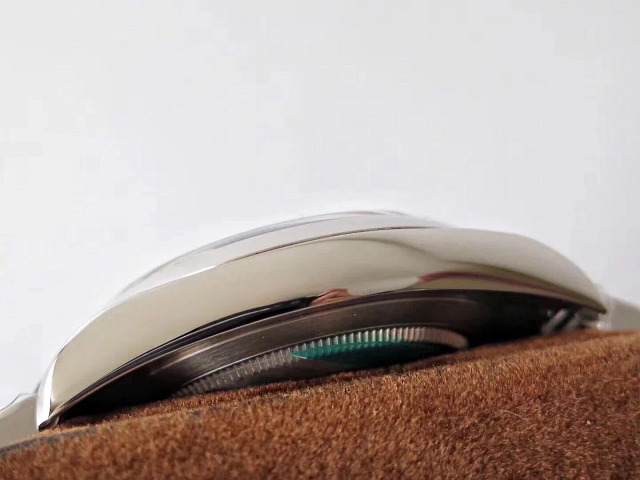 Seeing from the side, the whole case is polished very well, which looks very round and smooth. 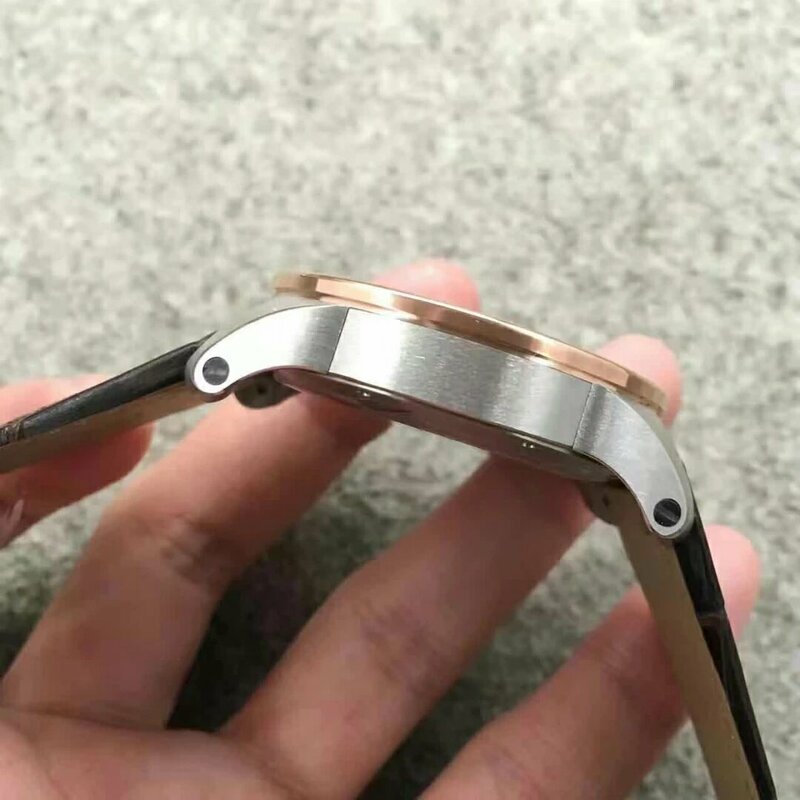 About the watch band, several pieces of links on each end have rose gold plated. 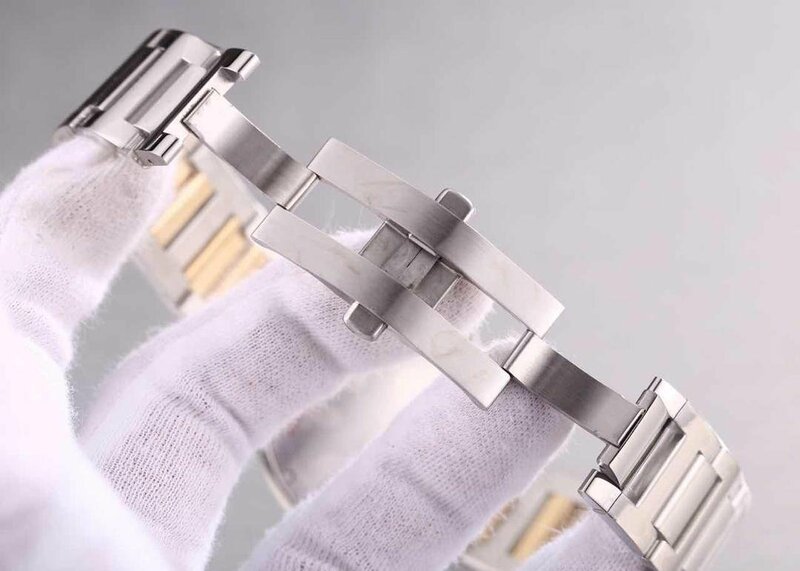 The links that consist of the bracelet are all solid, and the clasp has the same construction as genuine one. 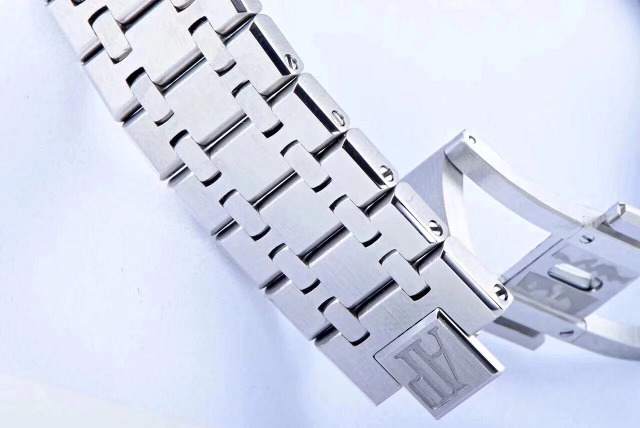 The watch is also available in a full stainless steel version with steel bracelet, which looks more elegant. 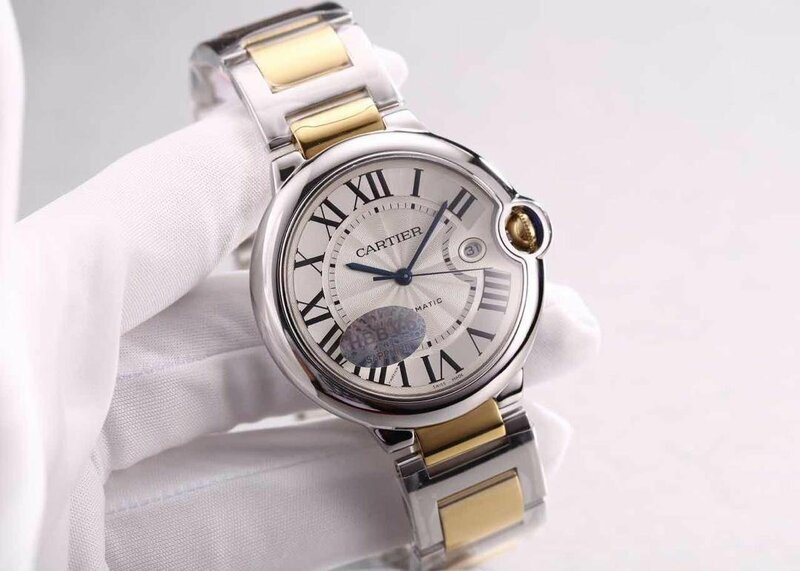 The details, including dial, date window shape, crown spinel, etc., are indeed manufactured to be better than that on other Ballon Bleu replica watches. 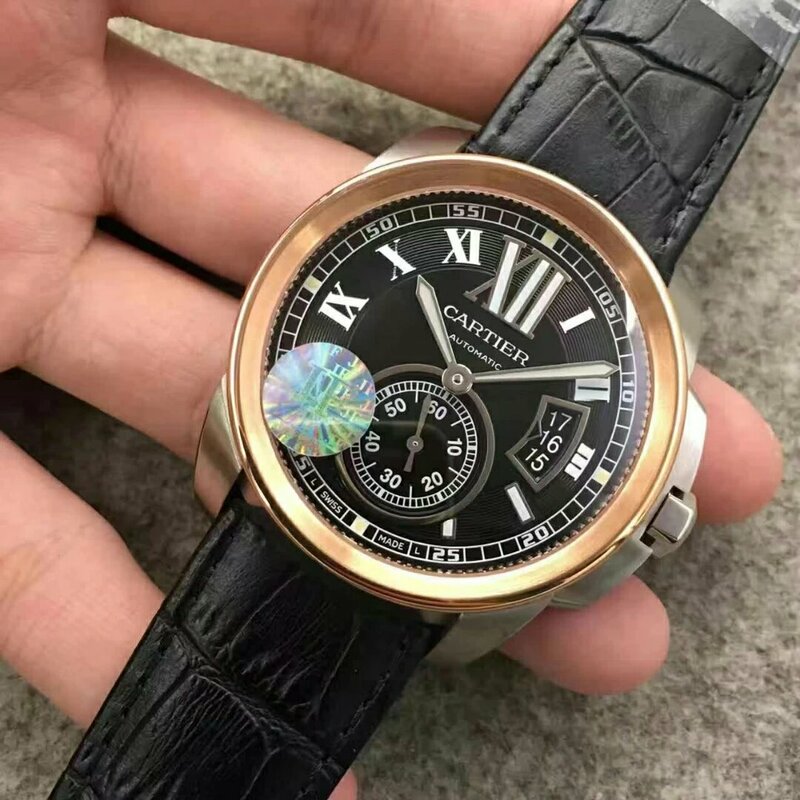 This is the replica that has every detail closest to genuine, however, the price is also very expensive, so, I always recommend people to buy the right watch, which means that you can not be too concerned about the details, the most important thing is feel. 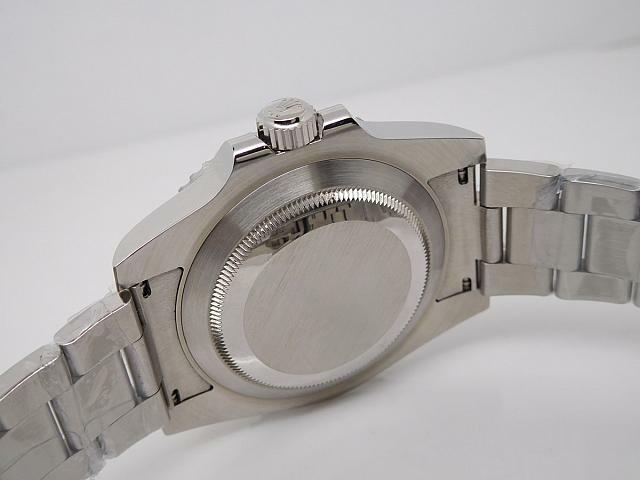 I should say that watch designers always can get surprising designs from any inspiration. When we talk about American Dream, Las Vegas is a necessary place has to be mentioned, because it is considered as a place to make dreams come true. Inspired by this sleepless entertaining city, Audermars Piguet adopted the city essence and boldly turned it into a wrist watch. 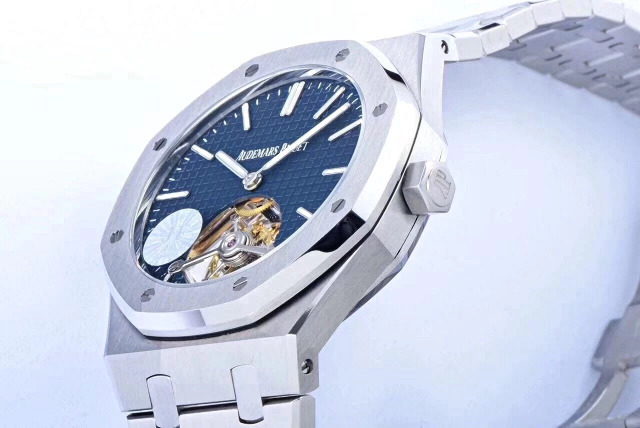 In fact, this AP 26186SN.OO.D101CR.01 watch is inspired by strip show and also name strip limited edition. 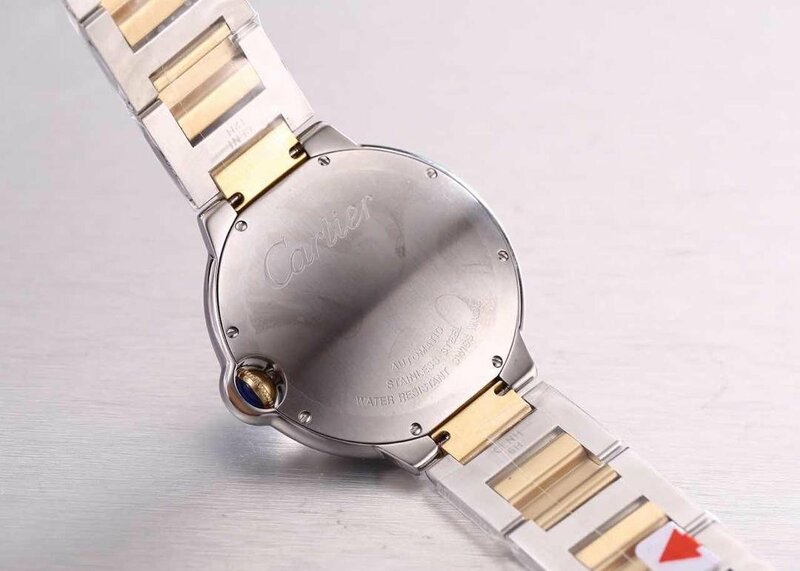 Let’s have a look on this combination of timepiece and gambling. 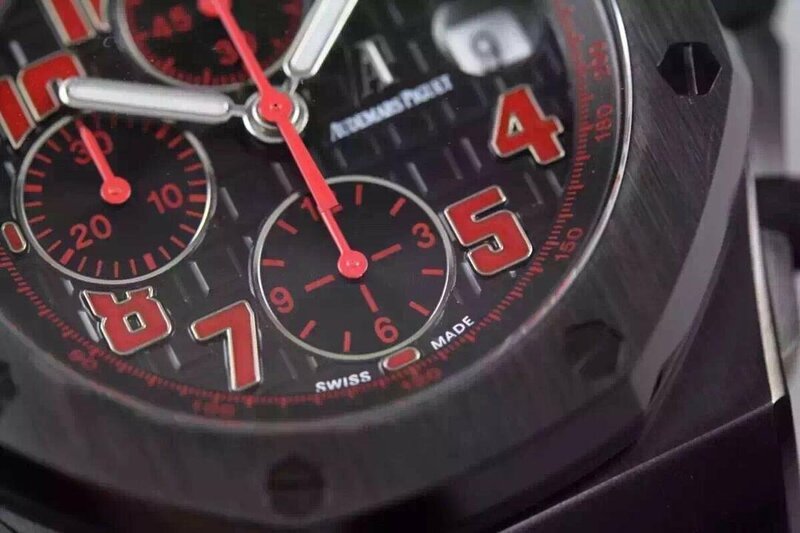 The black case is made of stainless steel with DHL finishing, on the black dial, there are read markers and three sub-dials. I think black and red is a perfect color match, and black stands for the night and red represents those colorful events at Las Vegas’ nights. All the function on the dial you can see is working as good as the original, the reason I will explain later. 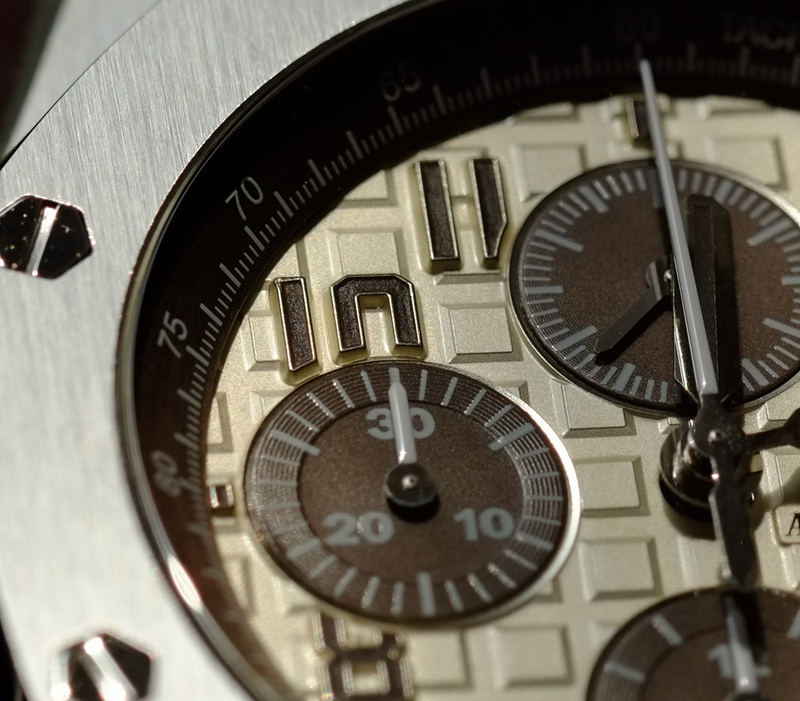 The main dial presents the hour, minute and second chronograph, and the date is displayed at 3:00 position. 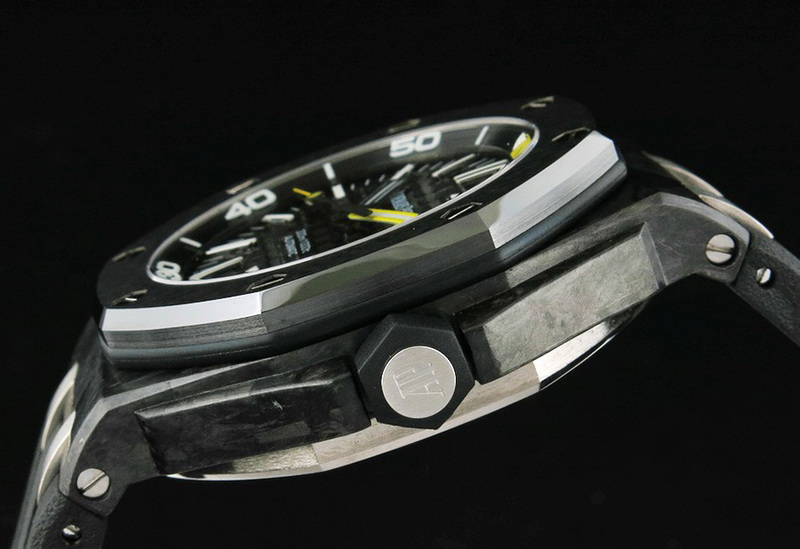 The sub-dial operates its chronograph function except the small second subdial at 12. Then it is easy to tell the three buttons at the side are for adjusting those functions. 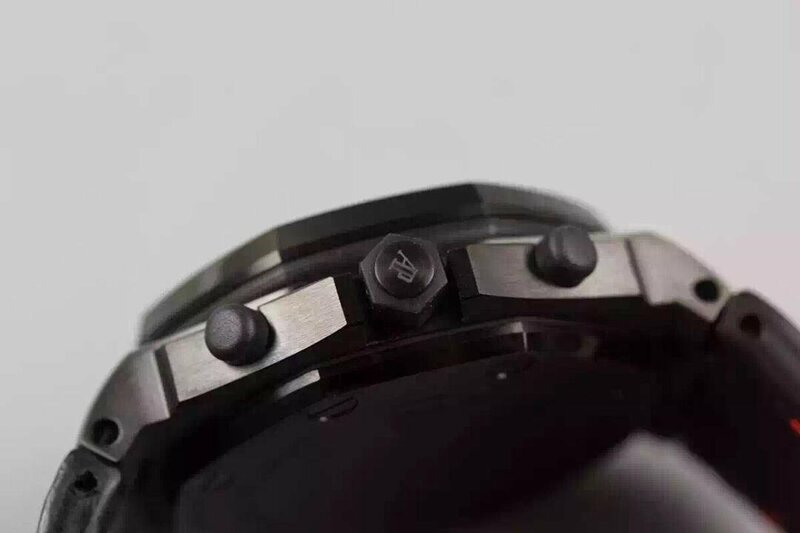 The middle crown is for time and date adjustment, the button on top is for start/stop chronograph while the button below is for chronograph reset, they are all screw-in type. 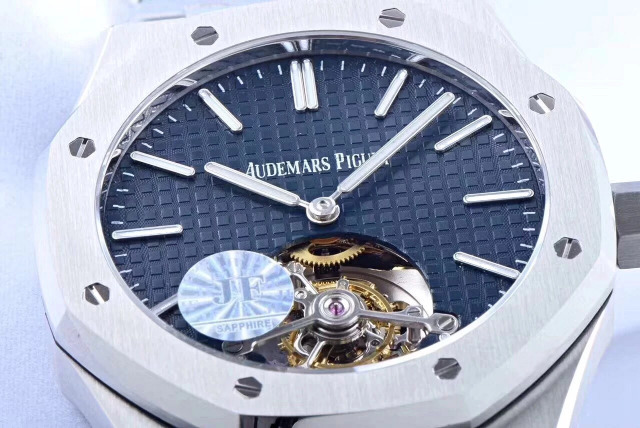 As I said this replica Audermars Piguet works as same as per original, because it is equipped with an upgraded clone movement, which is 3126, 1:1 replica of the original movement. And as this replica watch is from J12 factory, I don’t have any problem with its quality. 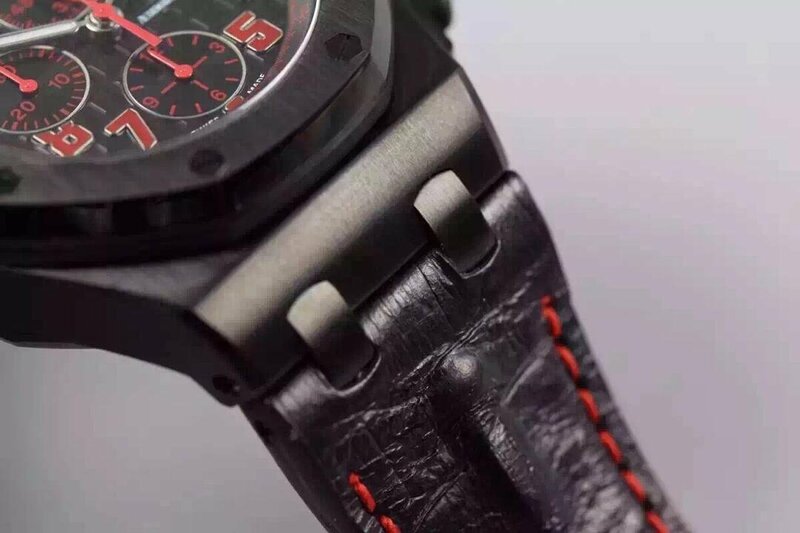 The bracelet is made of original crocodile, sewing with red color string, the color matching is so great. 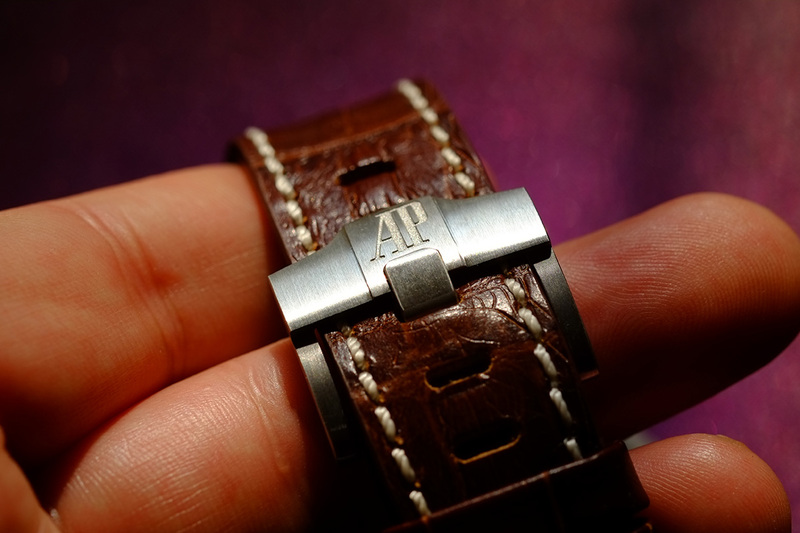 The clasp folded type, and it there is AP’s logo on it. 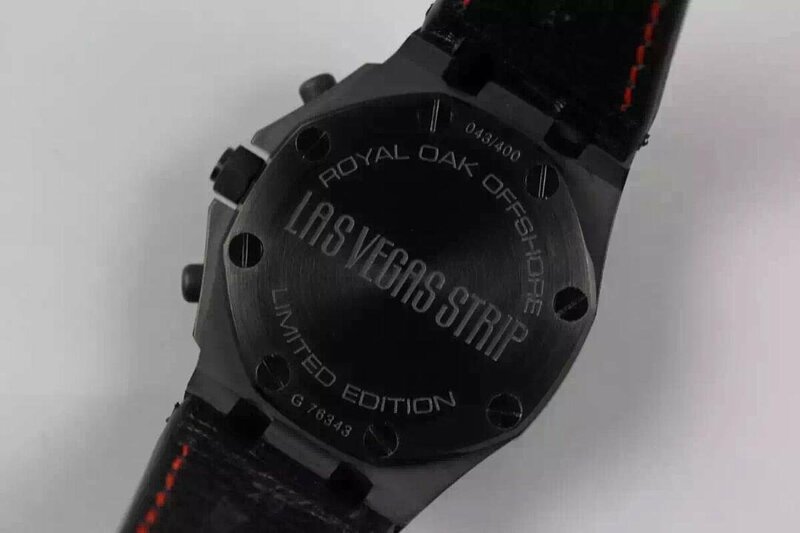 On the strong back case is engraved with “LAS VEGAS STRIP” referring to it is a limited edition theme. 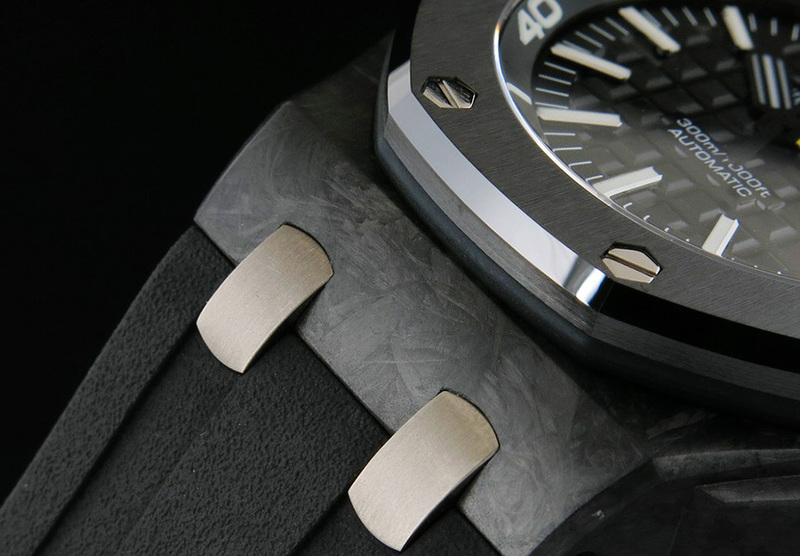 If you like a watch which is a combination of stainless steel and leather, this is a not bad option. 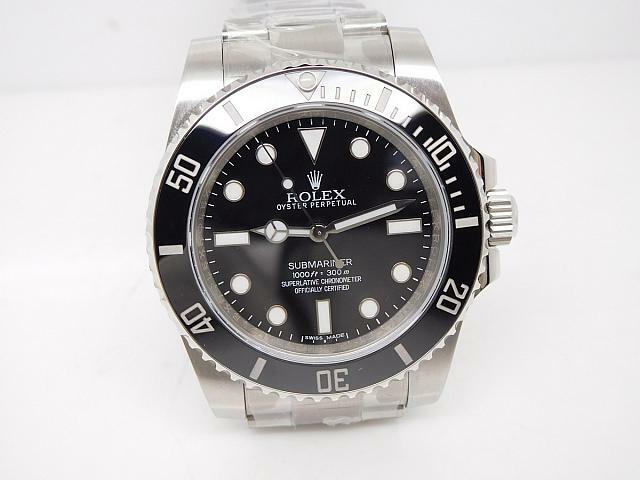 Whether in genuine or replica watch field, 114060 has a high popularity like black Submariner 116610 LN. 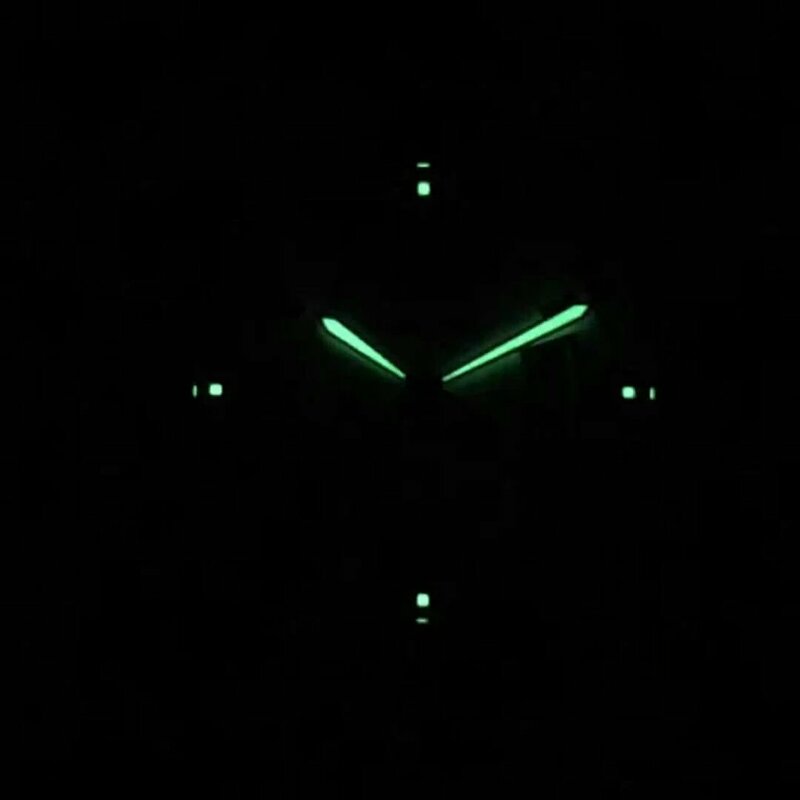 The only difference is that 114060 does not have date function, while this will not stop it become a hot watch, because someone likes the cyclob and some people don’t. 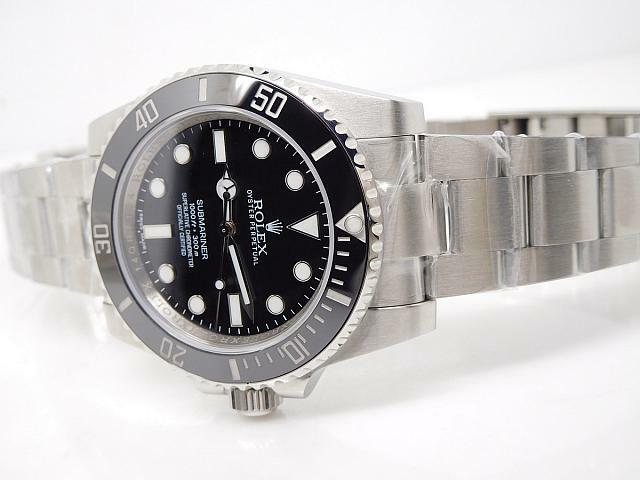 The replica Rolex Submariner 114060 here is made by J12 factory, not only it has a superior case finish, but it is also equipped with a super clone 3130 movement. 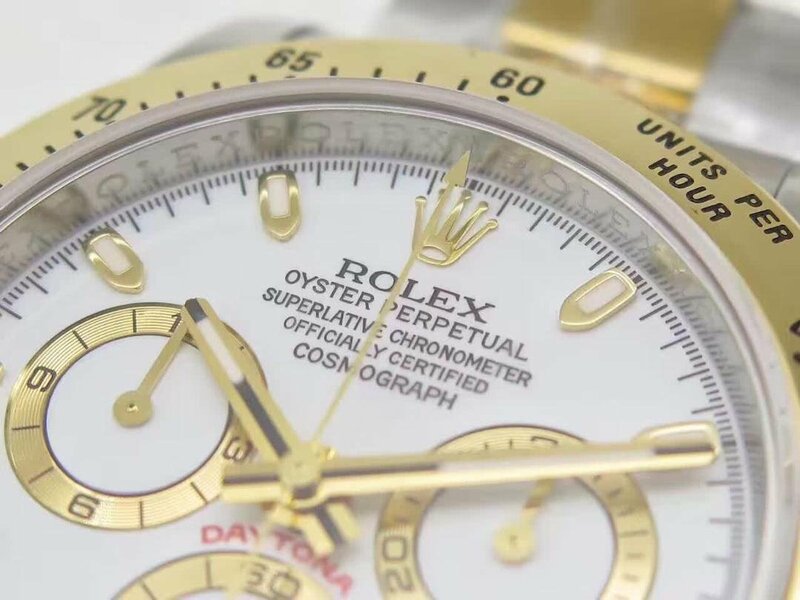 The case is well brushed, it has a great hand touch and case profile is the same as genuine, because the usage of high quality watch material, the whole replica Rolex has a similar weight to original watch. 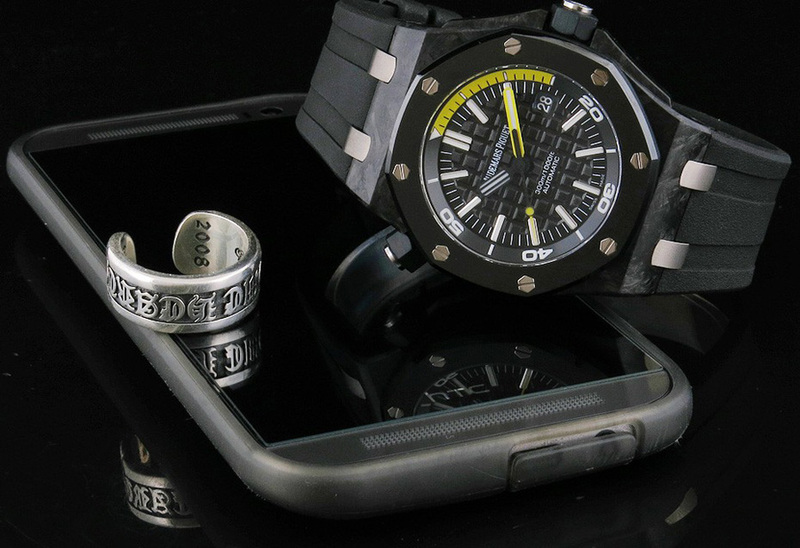 Case and bracelet are made of solid 316L stainless steel, you will feel its weight on hand. 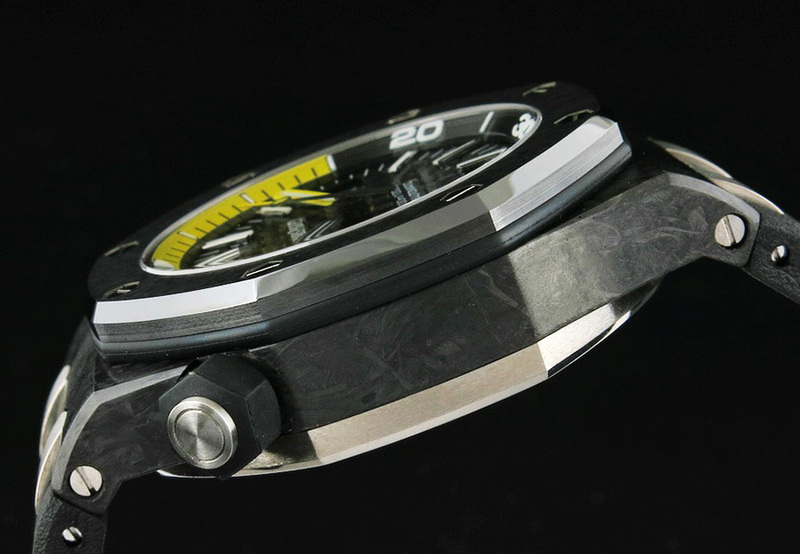 The bezel uses real black ceramic, deeply engraved bezel has a silver cream pearl, which is domed not flat. 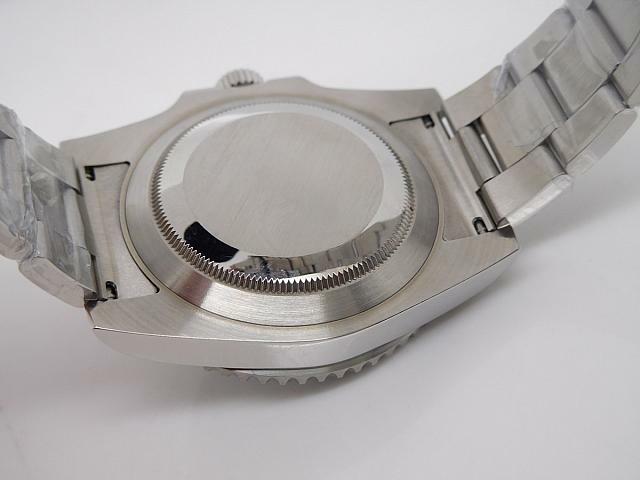 Like Super 3135, the clone 3130 is also a great movement which J12 factory researched and developed. 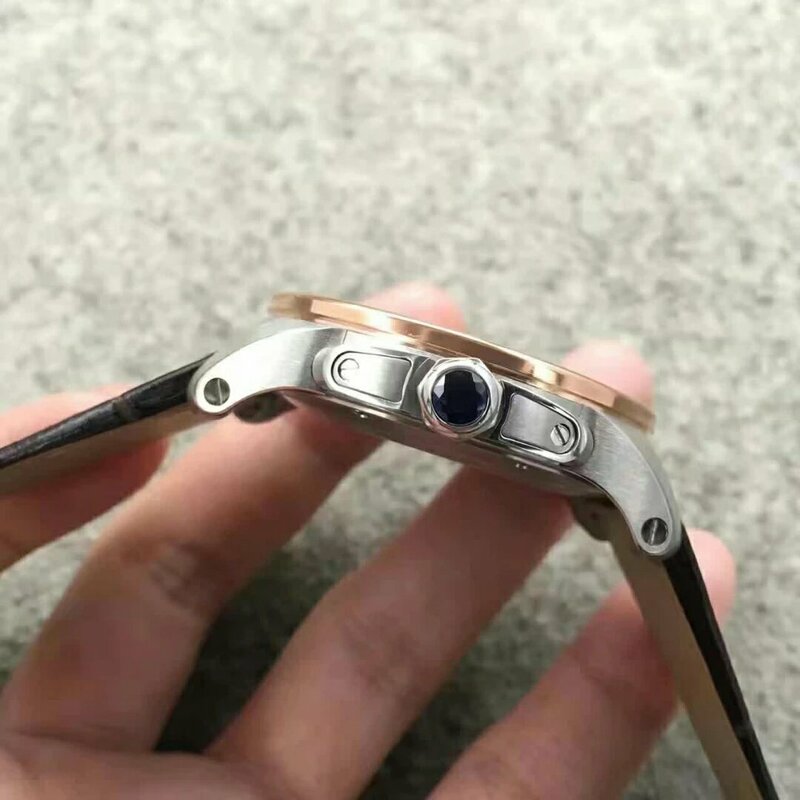 This movement now is only used by Rolex Submariner No Date replica, which is a dream watch for people who do not like a magnifier on the crystal. 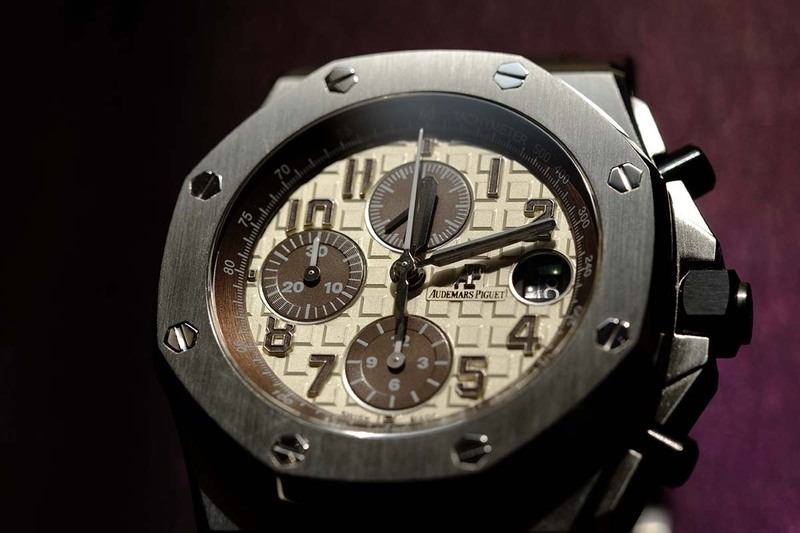 The movement only offers hours, minutes and seconds for the replica. The factory has modified the rotor and movement plates, so it will be closer to genuine 3130 calibre, besides, the clone 3130 also features a big red wheel. 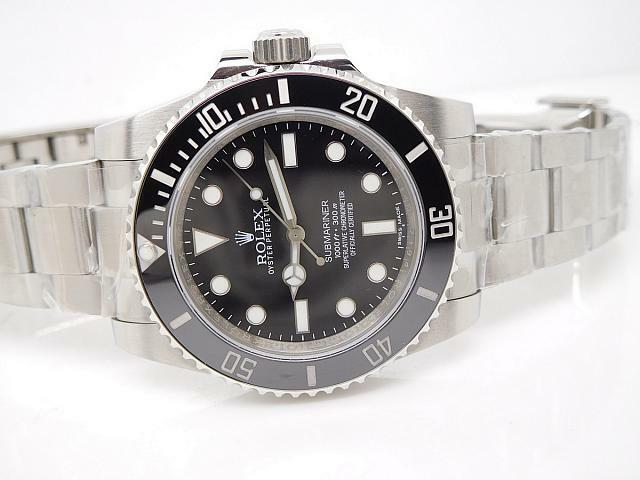 Although sold at a high price, but Rolex 114060 will not be a regret choice, it has 100% same quality as Noob Submariner 116610 LN. 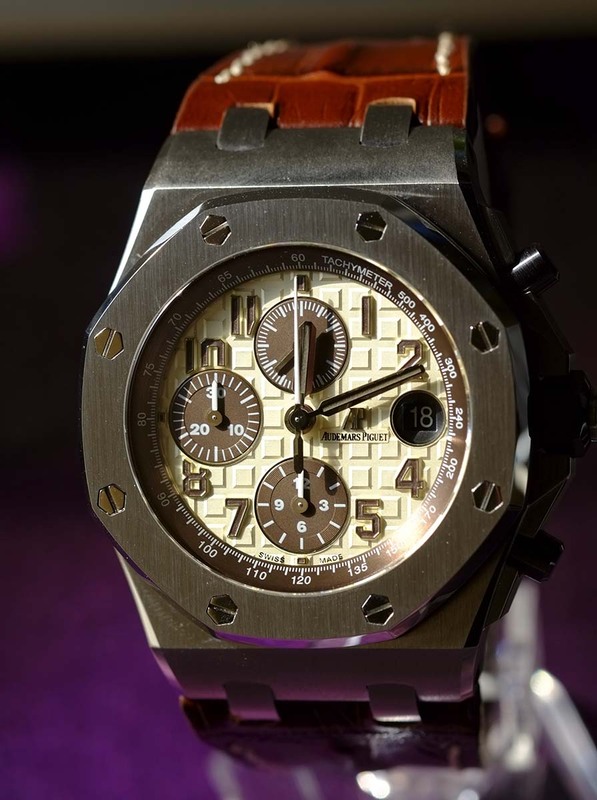 Audemars Piguet Royal Oak Offshore 26470ST.OO.A801CR.01 by JF, the dial is very beautiful, it is in cream color. 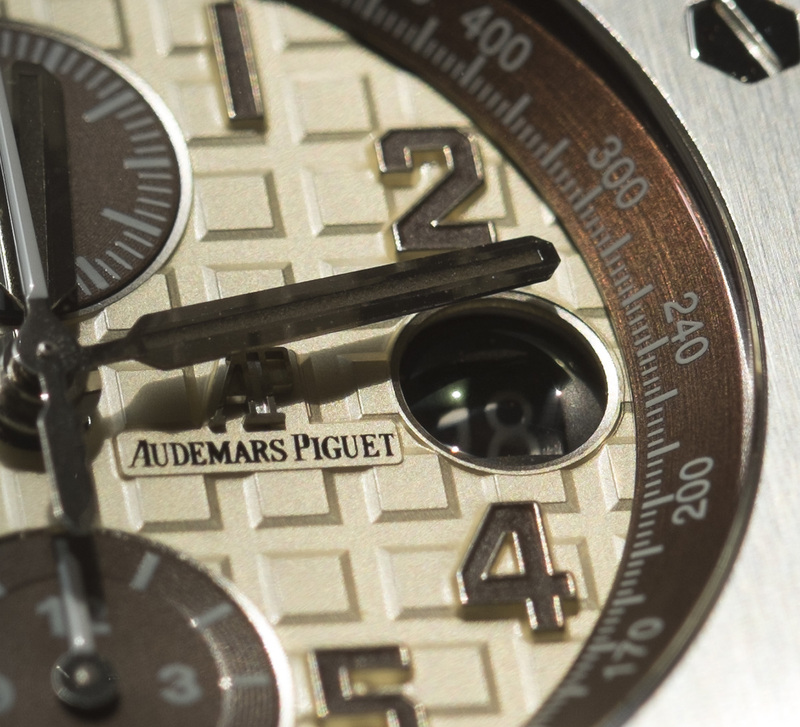 Sub dials and Tachymeter bezel are in chocolate tone, so sometimes we call it “Audemars Piguet Chocolate”. The crystal uses sapphire, it has anti-reflective coating on inner face. 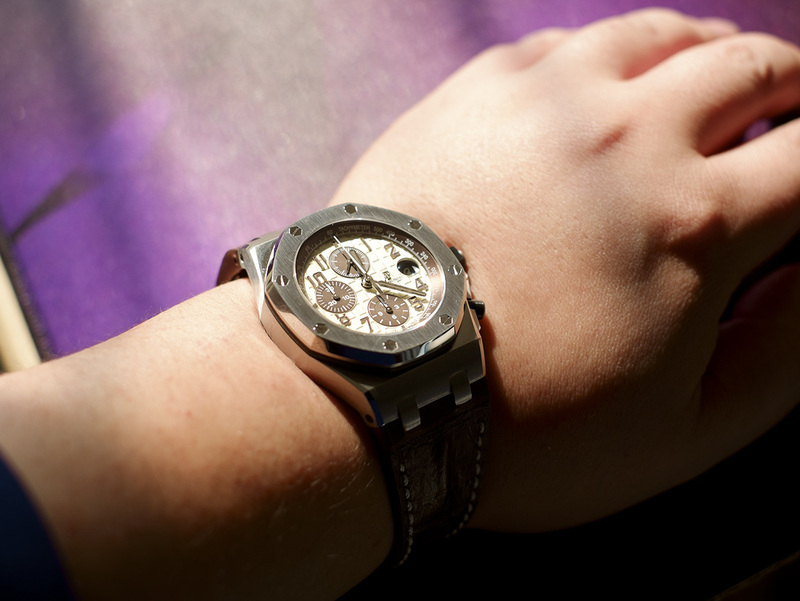 Like other AP watches, the crystal is clear and gives a super good visual effect. 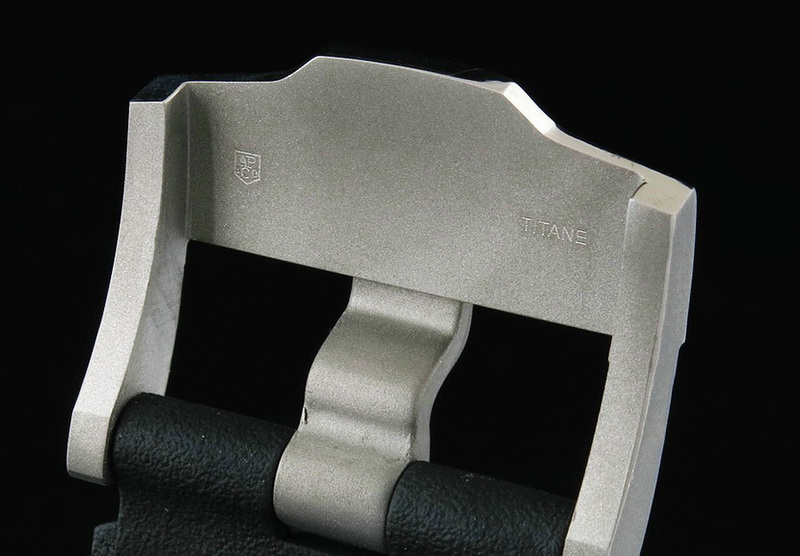 100% same as genuine, crown and chronograph buttons use ceramic, their edges are chamfer processed. 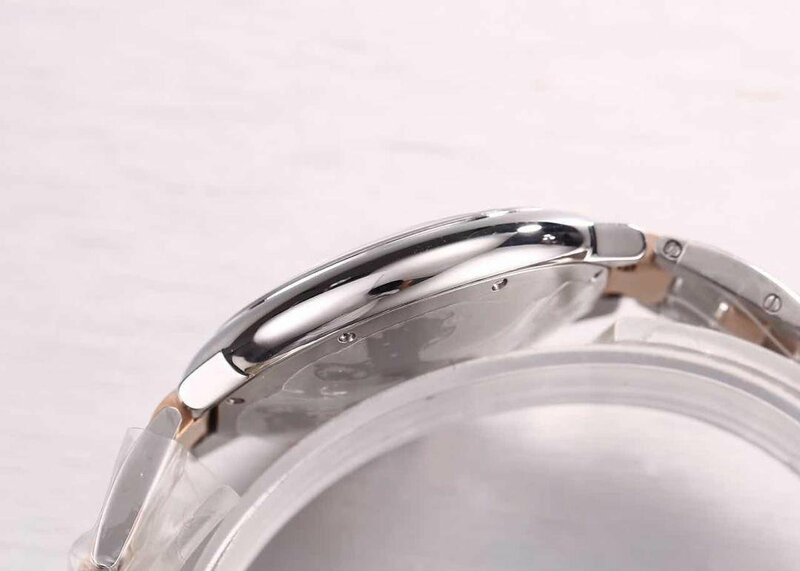 The magnifier above date window also features anti-reflective coating, which is very close to genuine. The dial is perfect, I think it has beyond the replication of 15703. All hour markers have correct position and proportion. However, if you observe the date window carefully, its position is a little wrong and goes too right off center. This is limited to the movement, it can not be done to be 100% the same as genuine. This replica Safari has been upgraded, because the date window of previous version has a deep brown background, which is different from genuine’s black. Now, this replica finally solved this defect. Dial details. Numeral hour markers are 3D and filled with chocolate luminescence. However, the lume effect is not very obvious. Chronograph subdials have drawing-processed circles with brushed face. Safari and 15703 have checkered dial, but the grids on Safari’s dial does not have fiber patterns. Second-chronograph hand is plated with glaze. 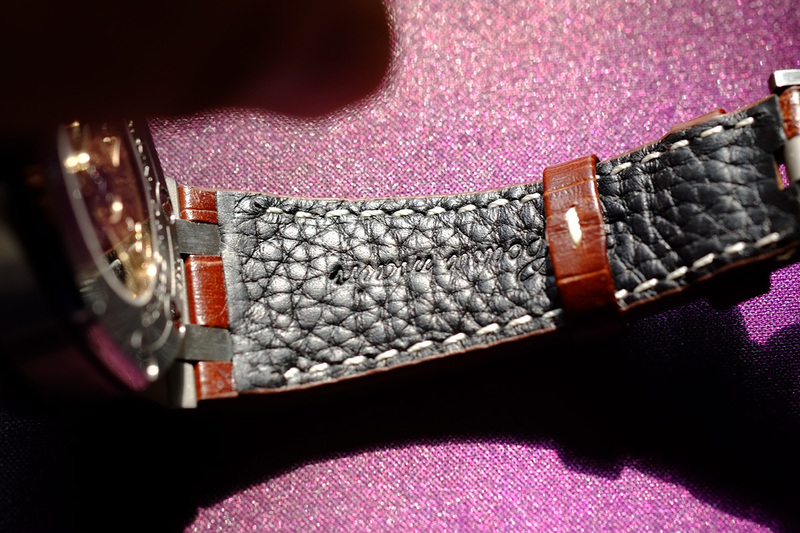 Band uses embossed leather with crocodile patterns, it is thick and hard. 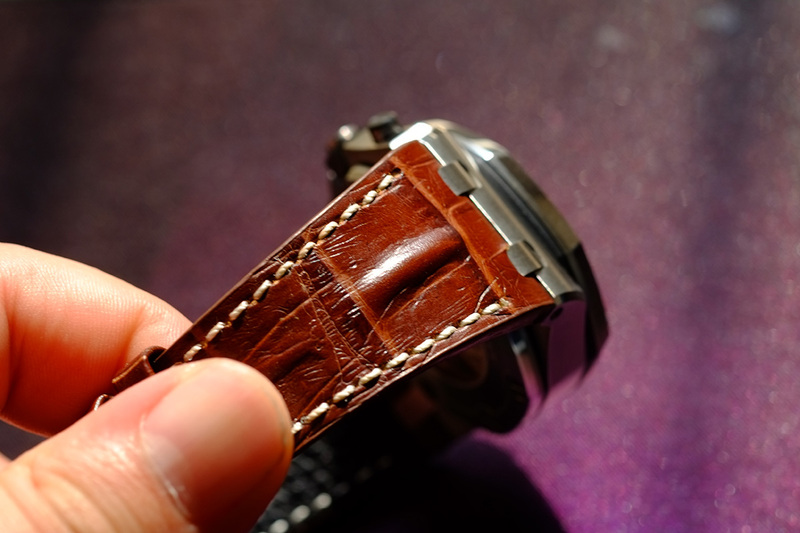 There is raised crocodile coccyx on each strap. White hand stitching brings impact visual effect, and is also full of retro atmosphere. The inside of the bank is litchi pattern embossed cow leather, very soft and comfortable. 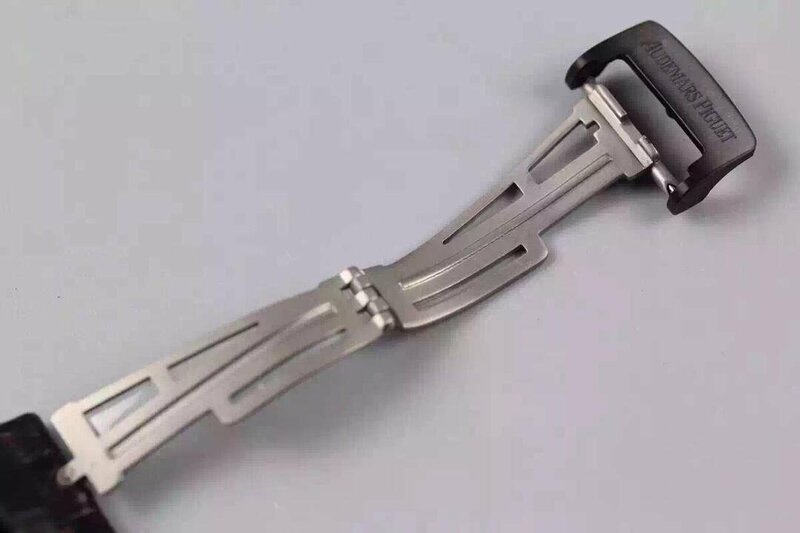 The design of AP is really perfect, bent lugs could fit your wrist in a very comfortable way. 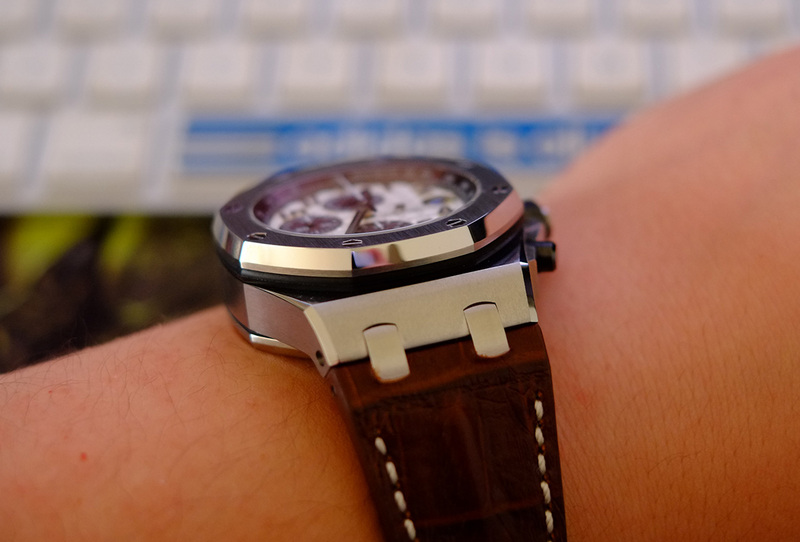 Brown leather band is just matching the chocolate subdials and tachymeter bezel. 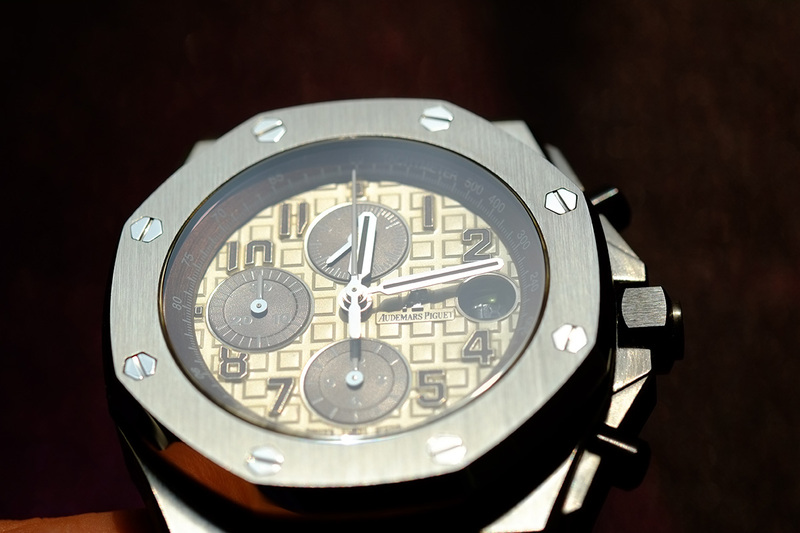 J12 made a great effort on polishing their Audemars Piguet replica watches, like this one. The bezel of Safari is thicker than that of 15703. Conclusion: AP Safari Chocolate replica is a great watch with refined craftmanship, it should belong to the high-end replica in our market. 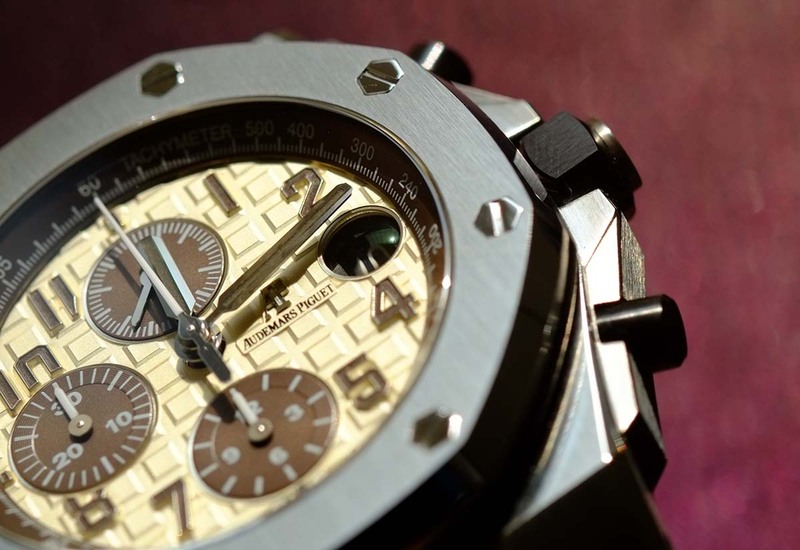 This replica has a better finish than 15703 and closer to genuine. 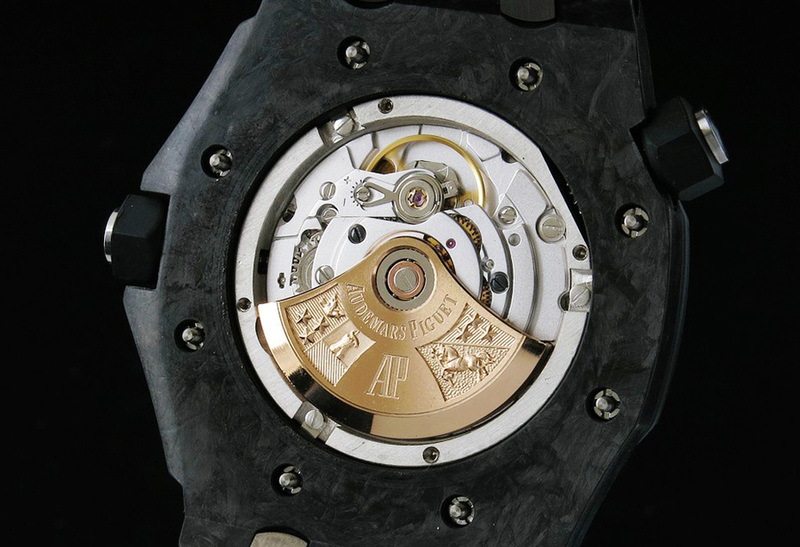 The AP Safari replica I am talking here is equipped with an Asian 7750 movement, not the latest Clone 3126 movement made by J12 factory. 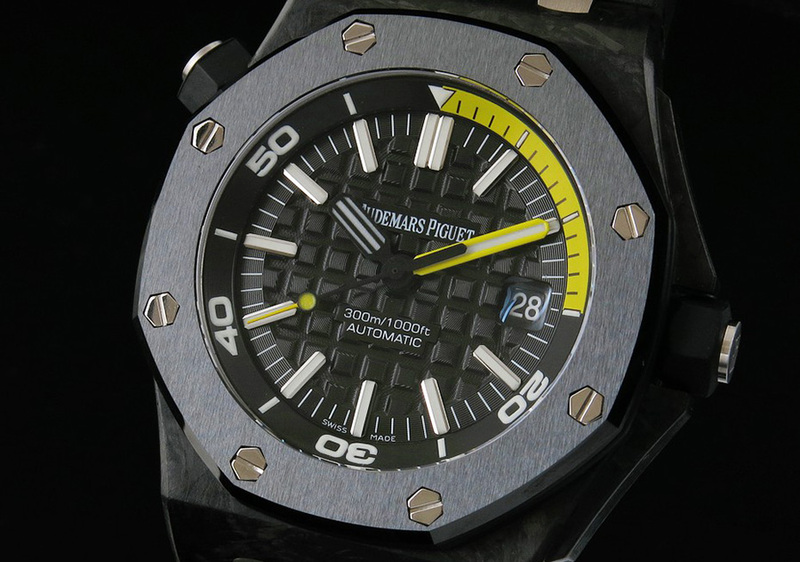 However, J12 has upgraded all Audemars Piguet replica watches with 3126 movement, and the price is not very high.